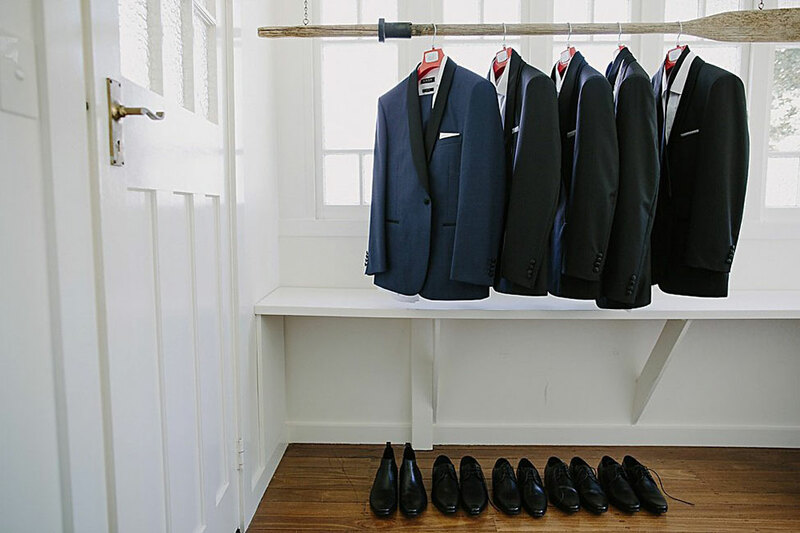 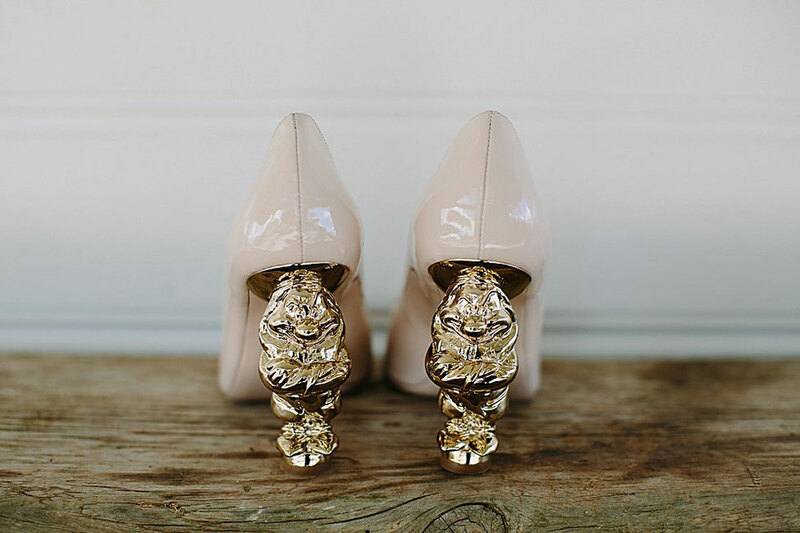 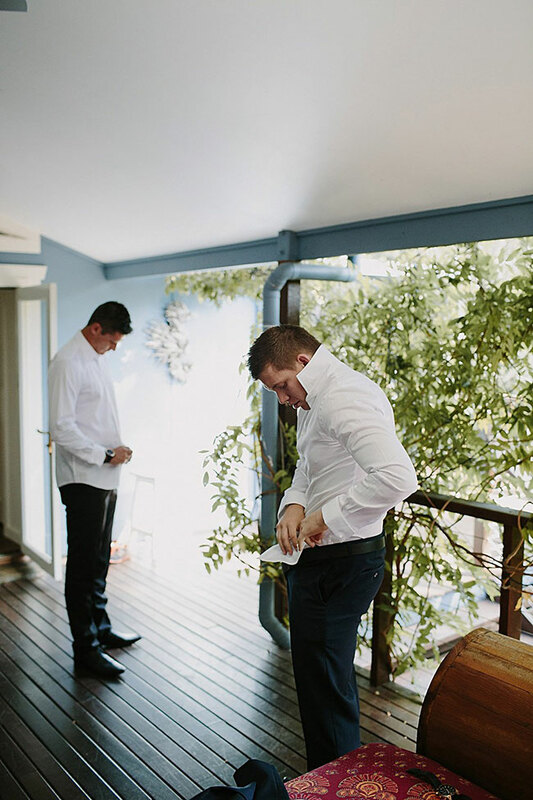 There are certain real weddings that capture your heart from the very moment you see the first image. 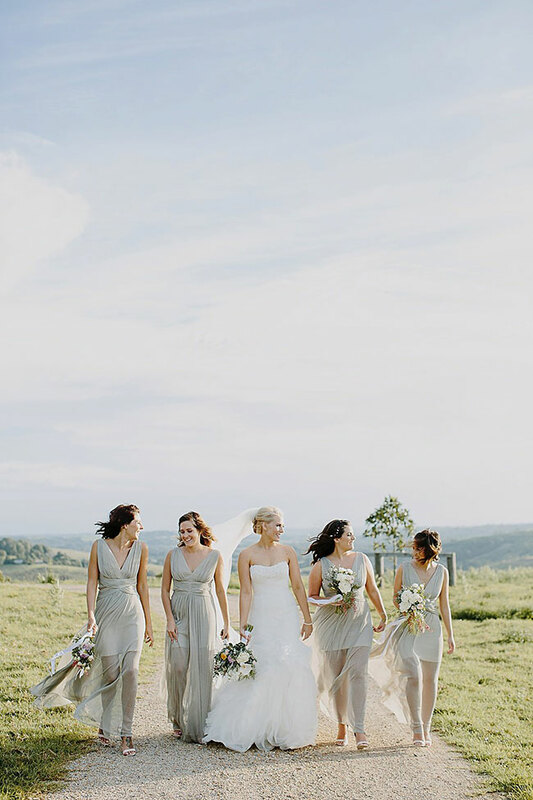 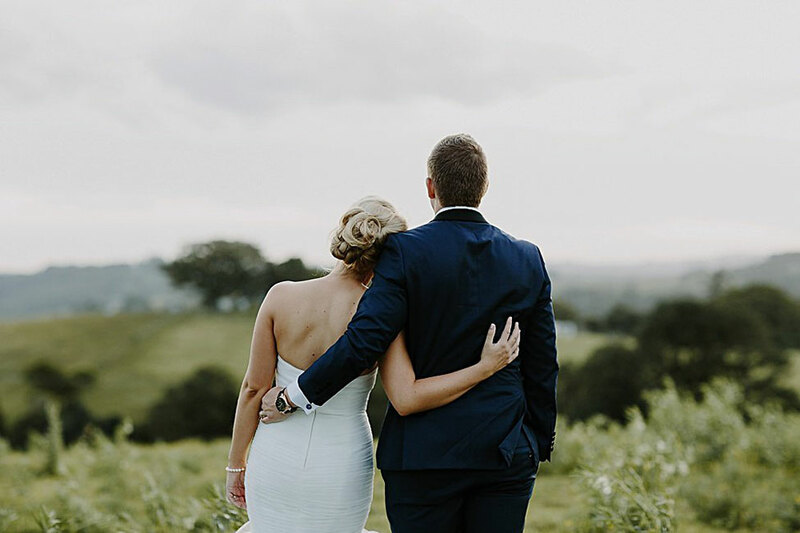 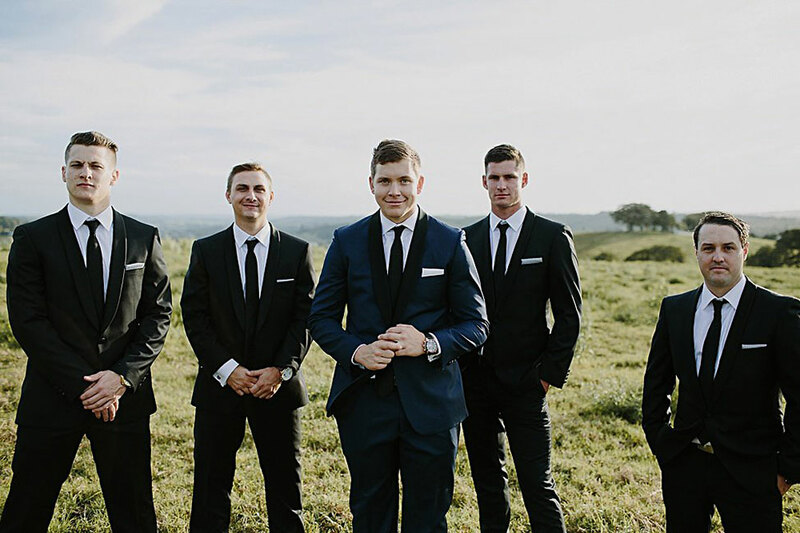 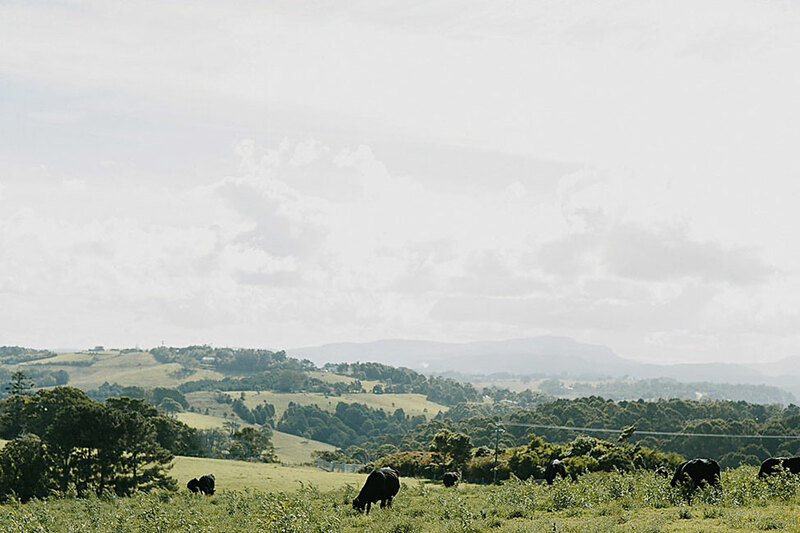 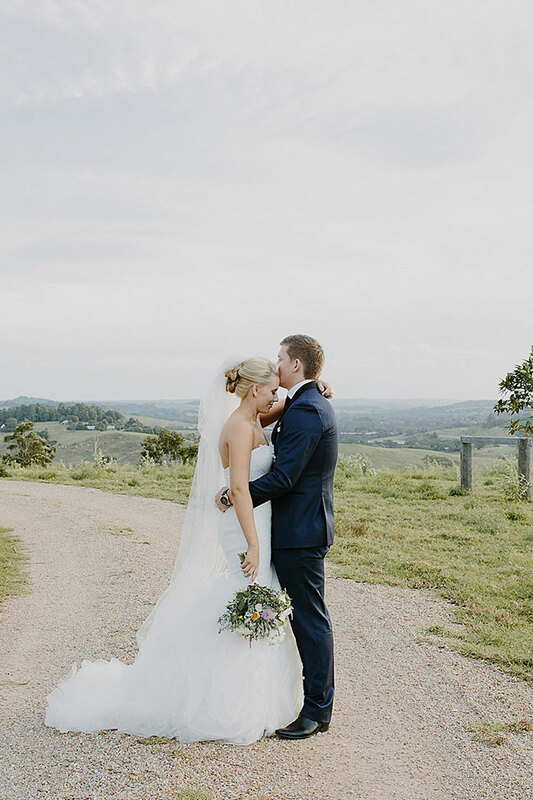 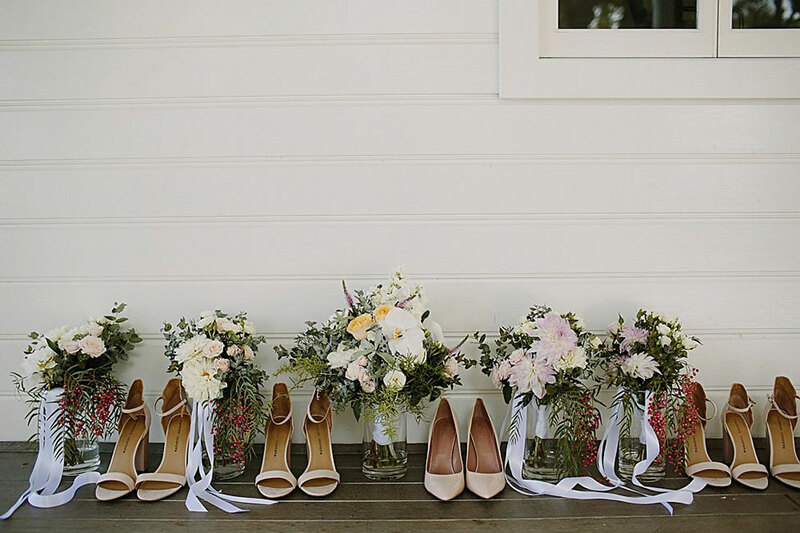 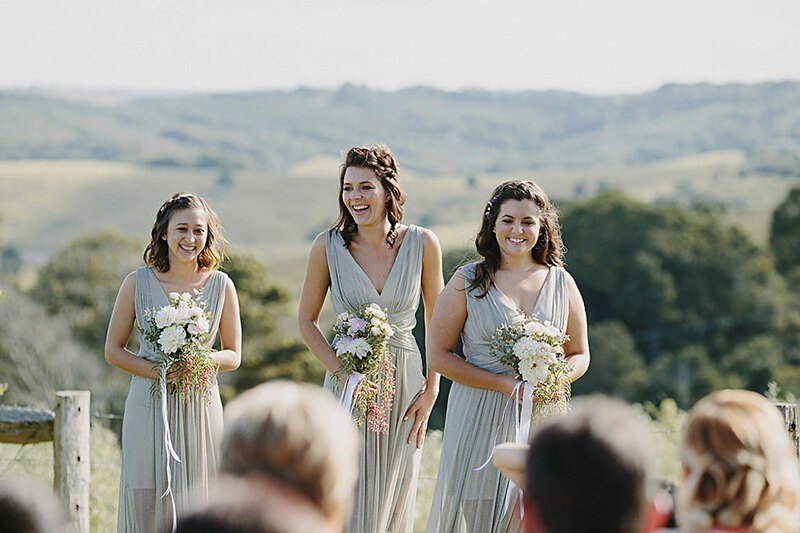 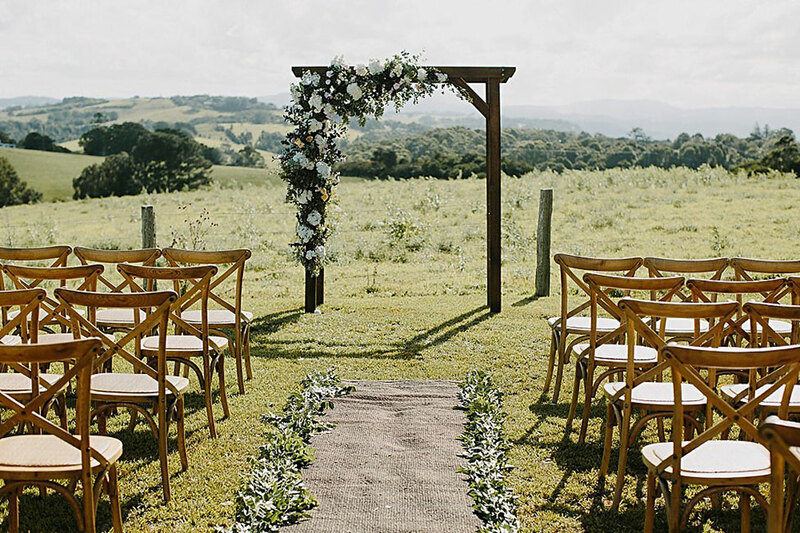 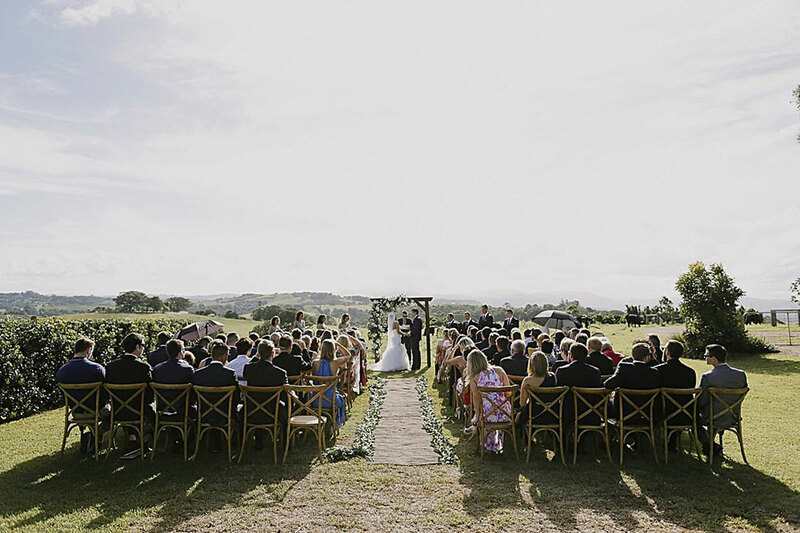 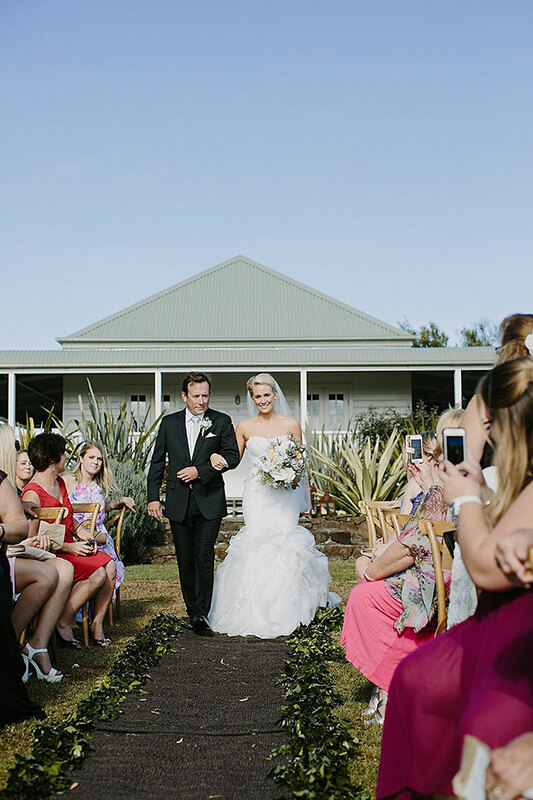 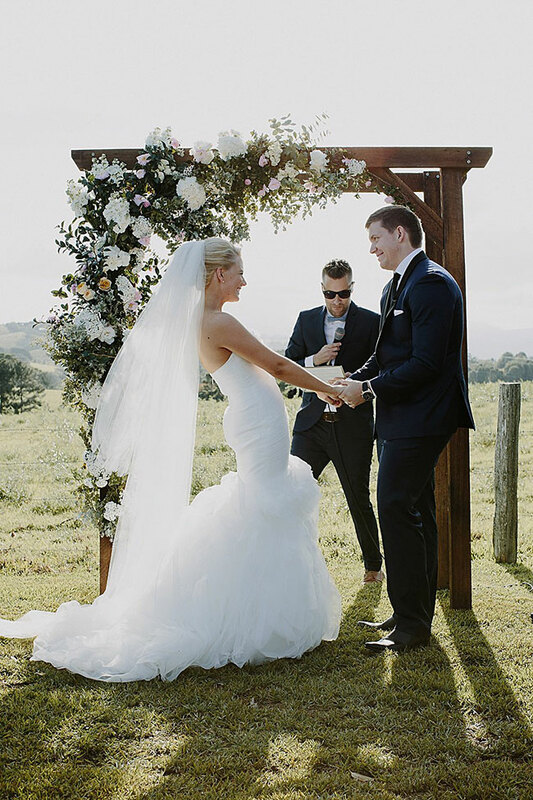 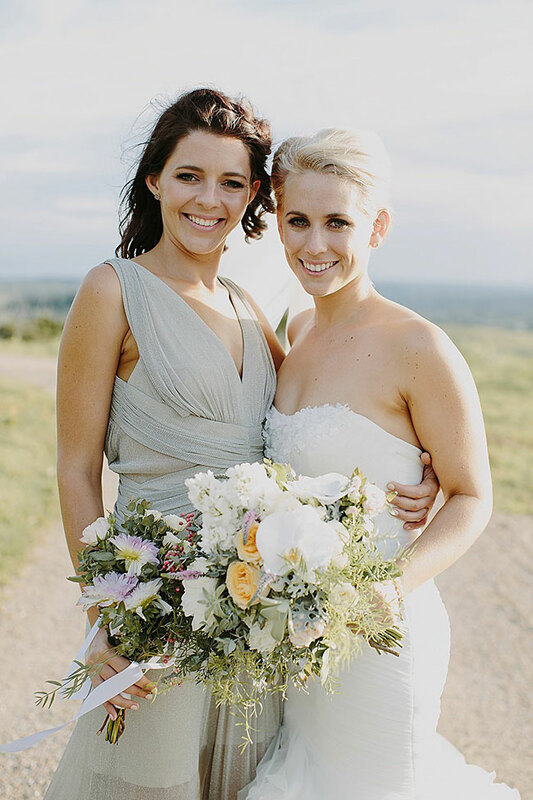 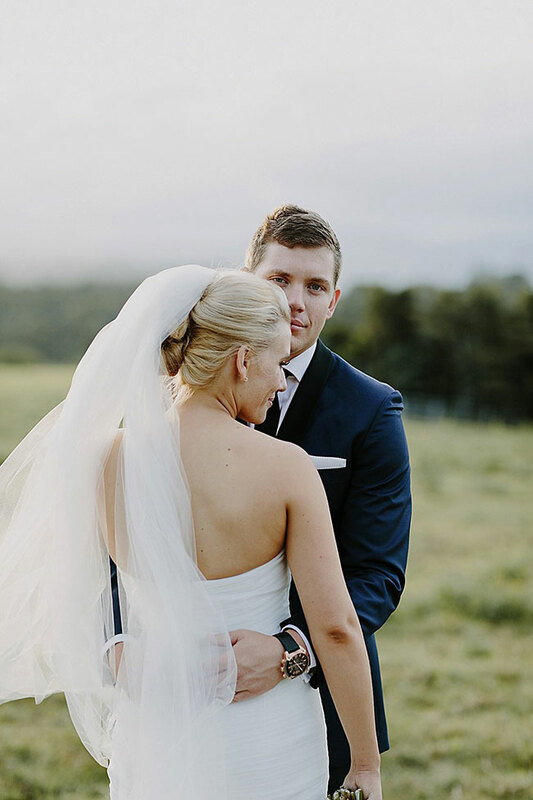 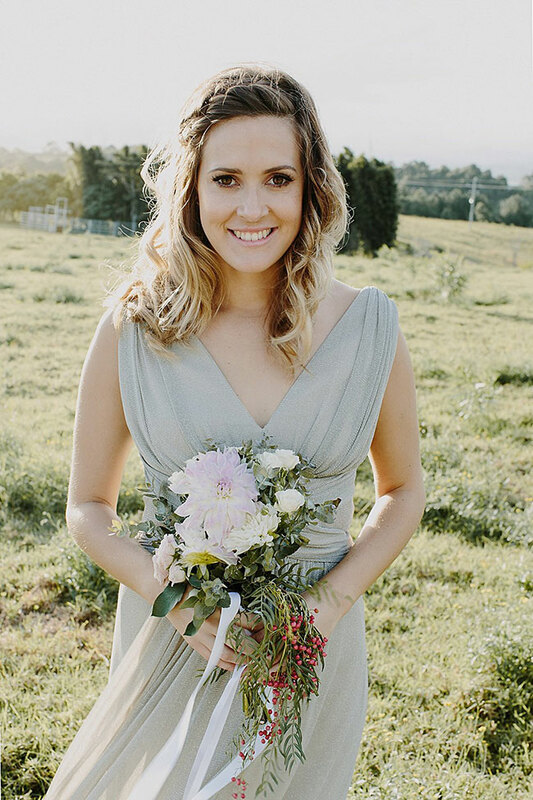 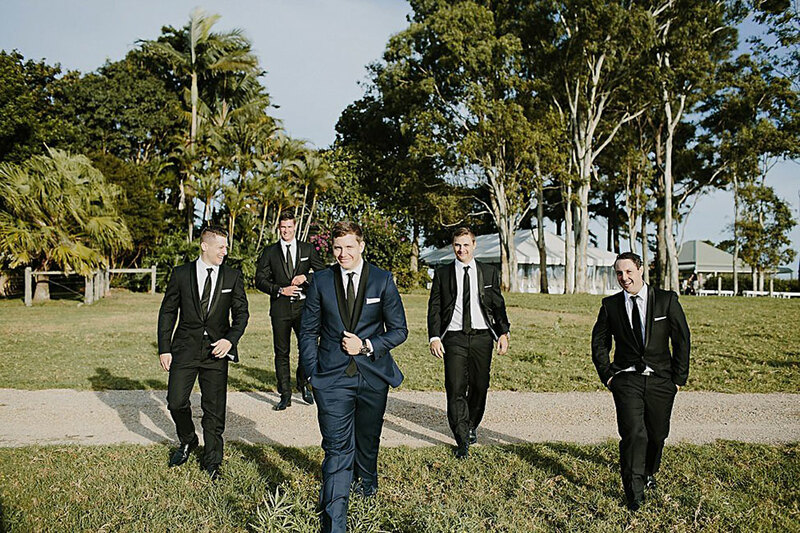 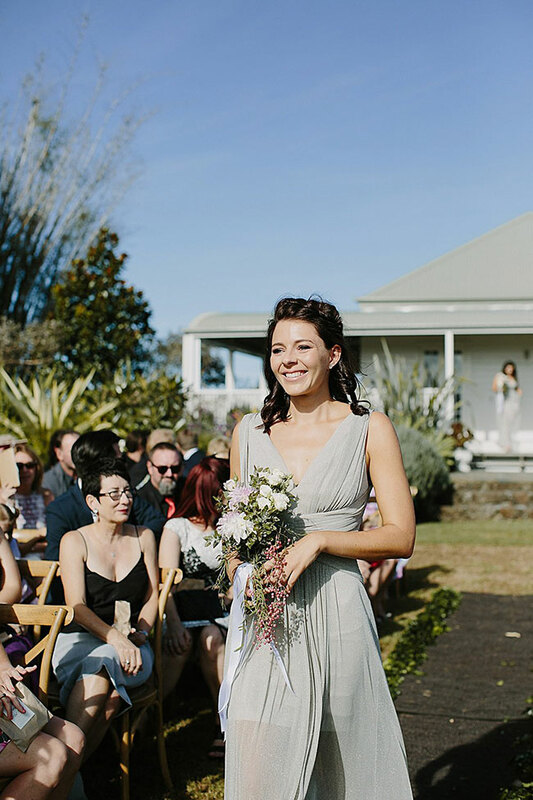 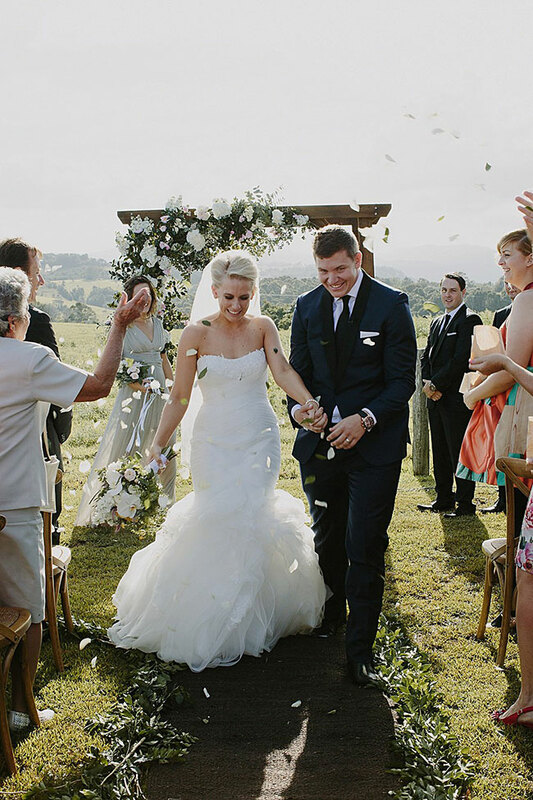 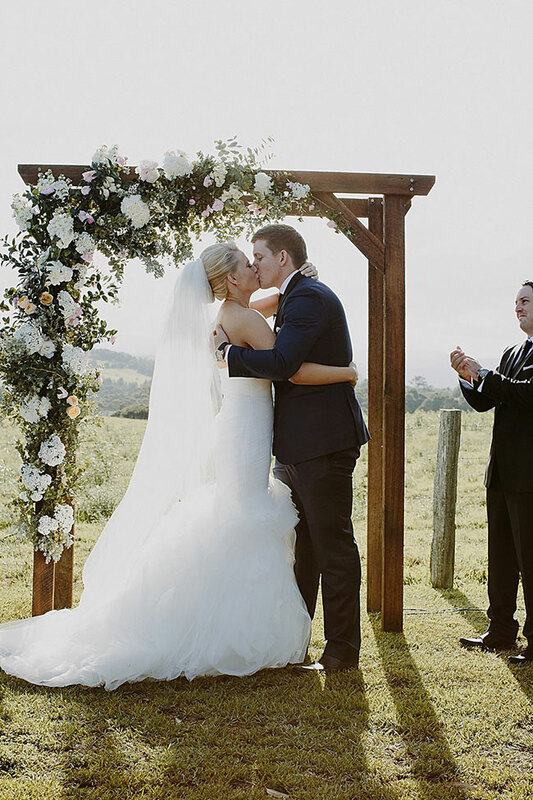 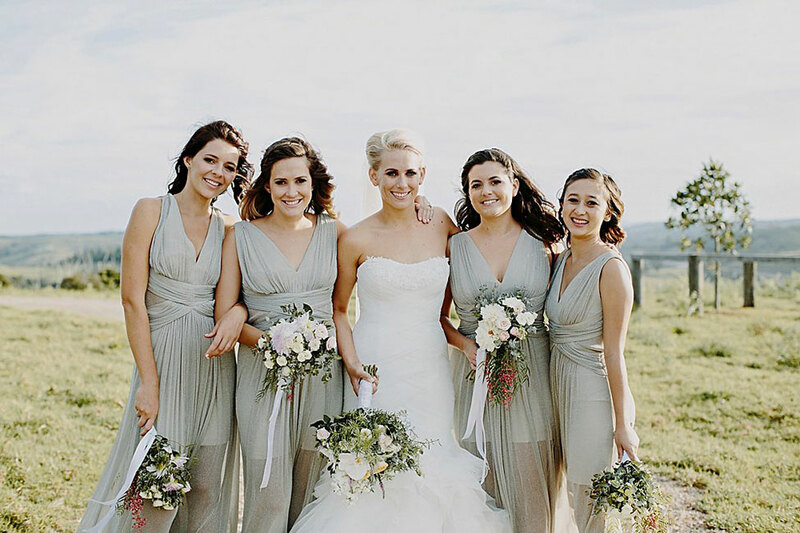 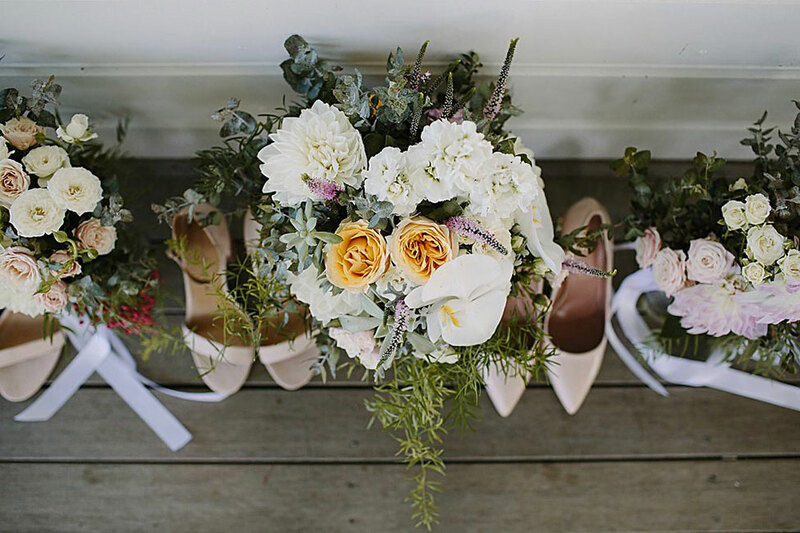 Alexandra & David’s rustic chic Byron View Farm wedding on the rolling hilltops of Australia is absolutely one of those. 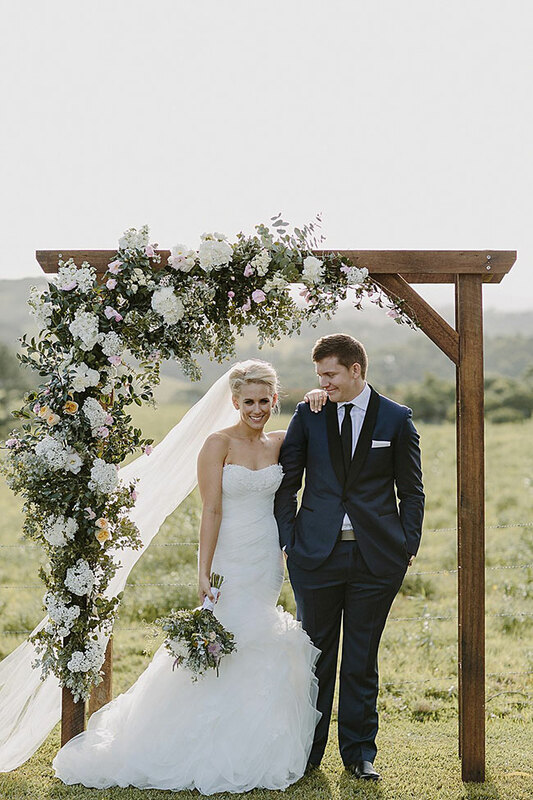 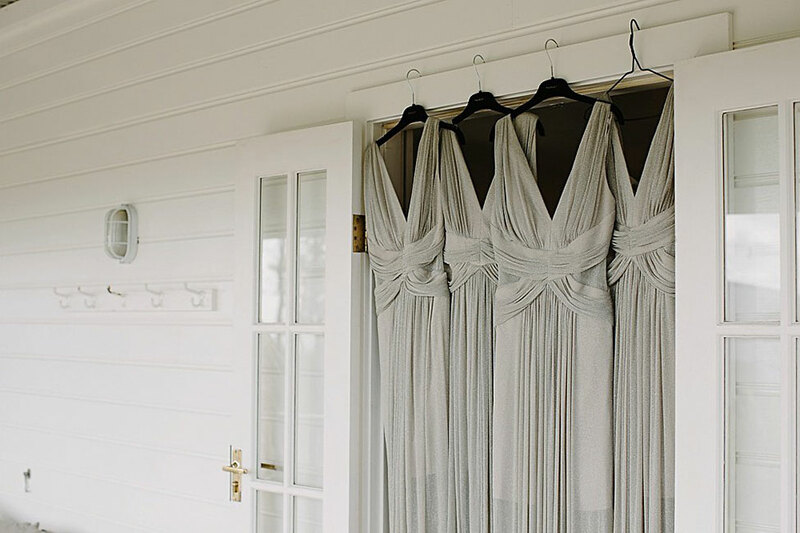 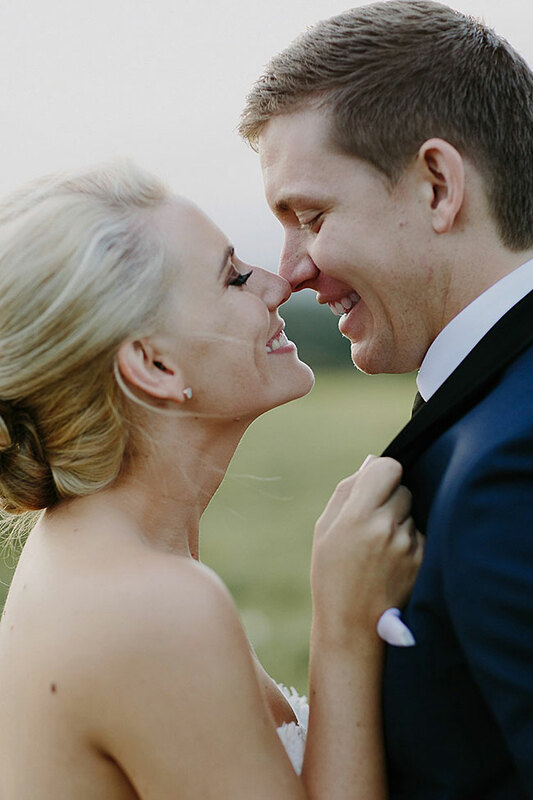 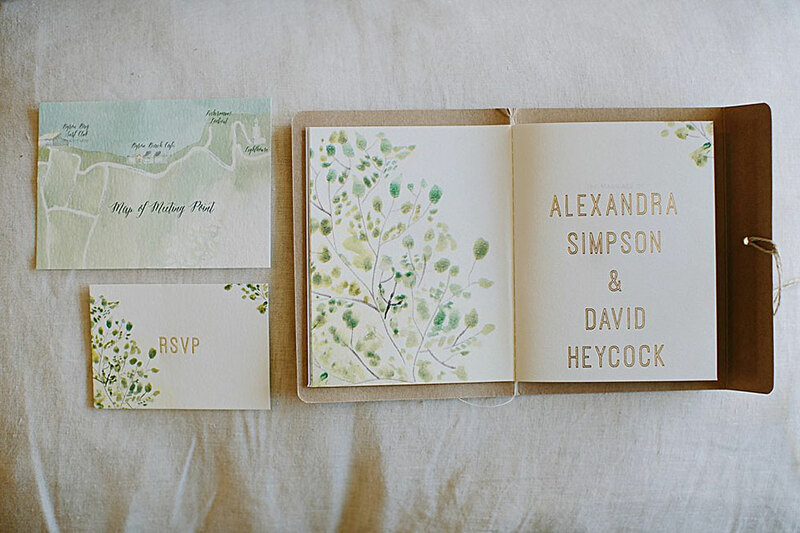 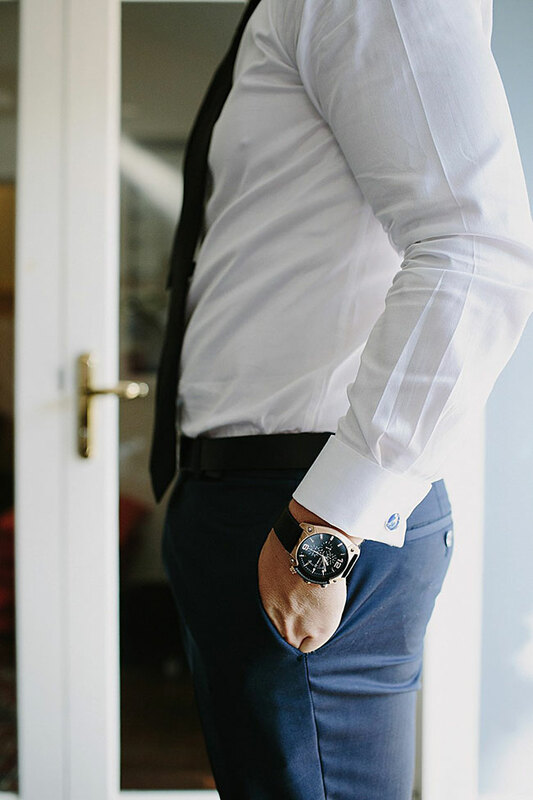 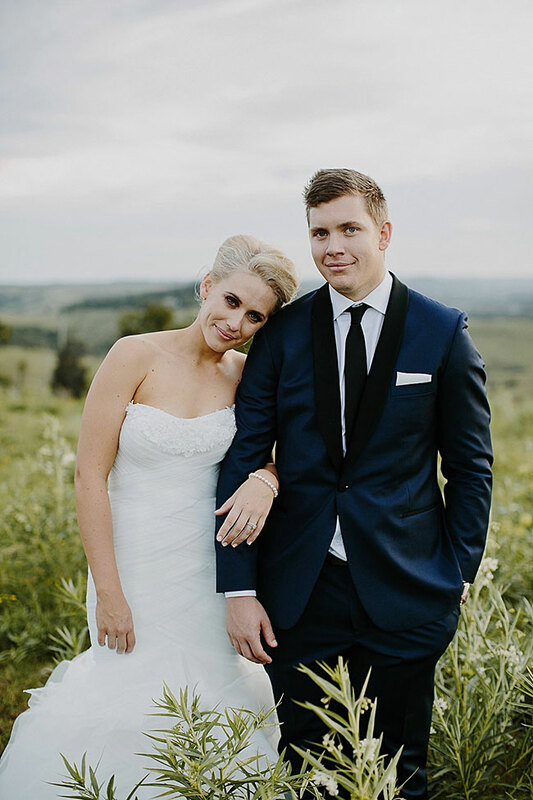 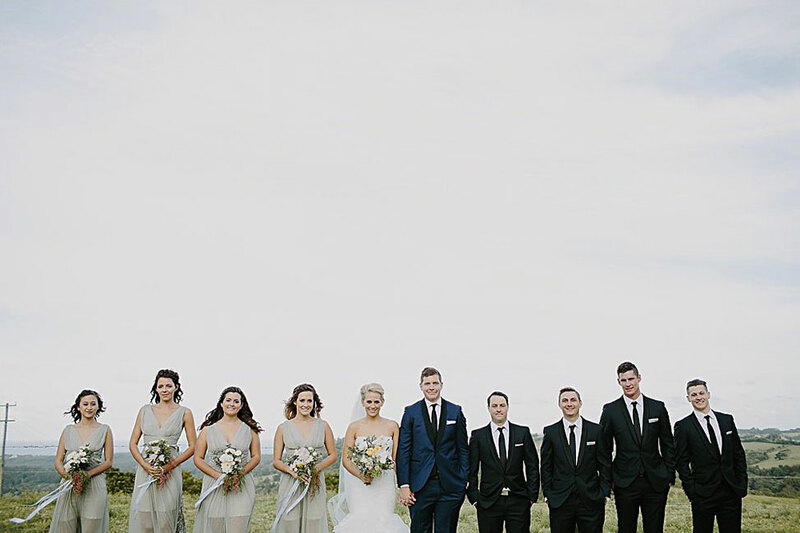 Their wedding is a virtual dream checklist of perfect locale, gorgeous fashion choices, chic wedding decor details & well, let’s face it, a pretty darn handsome couple. 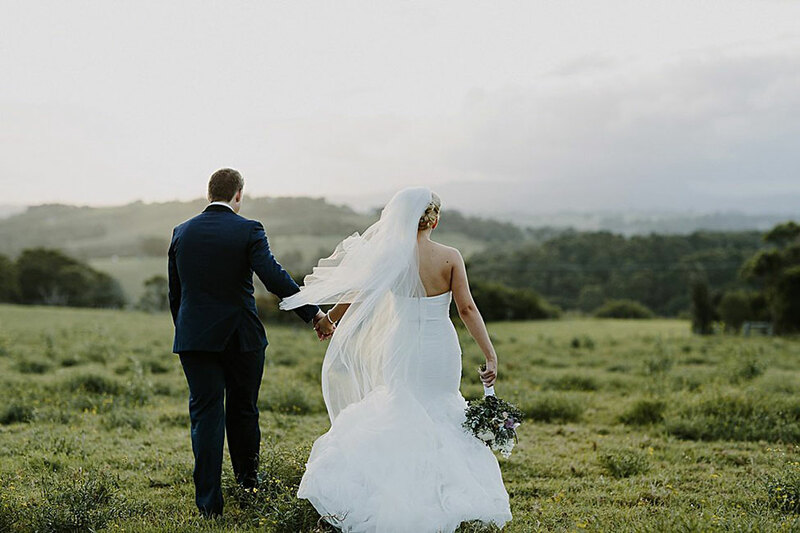 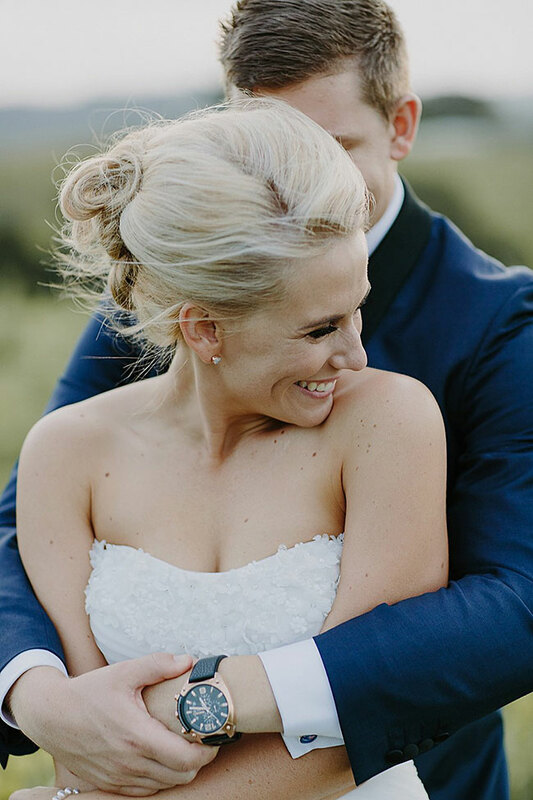 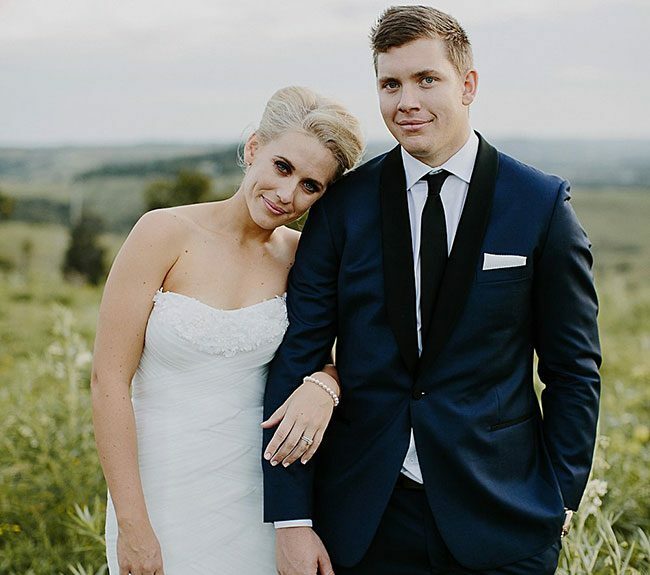 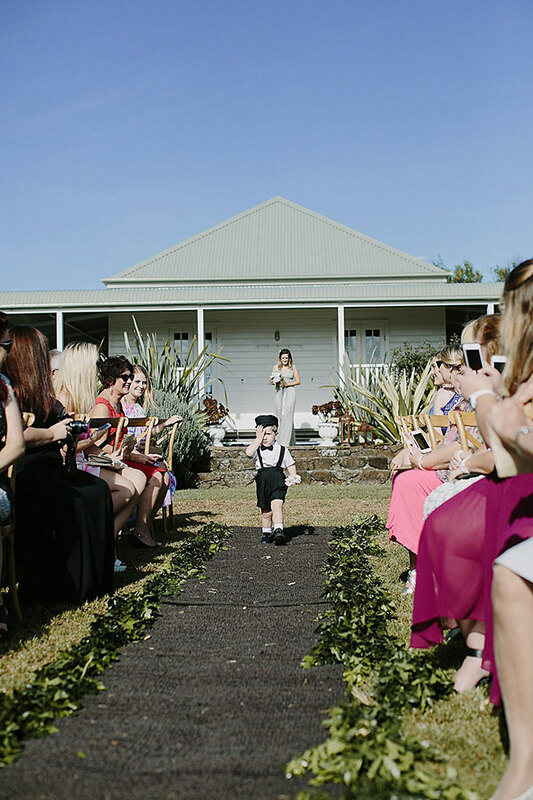 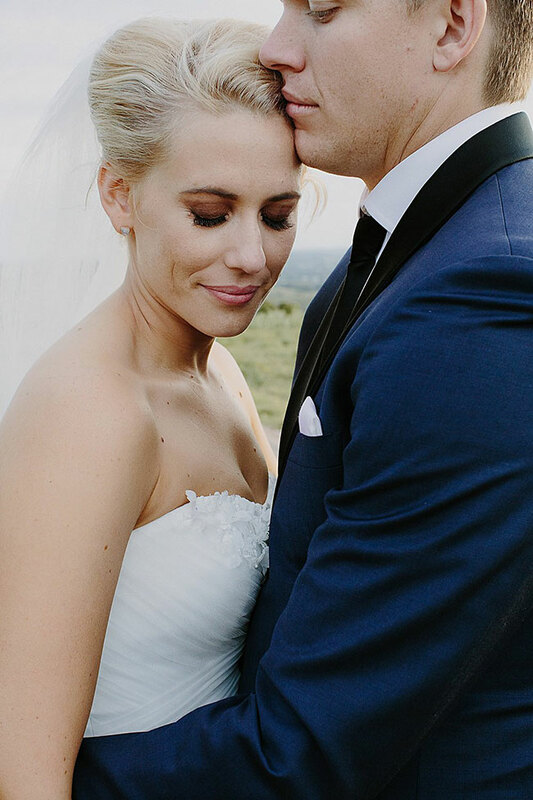 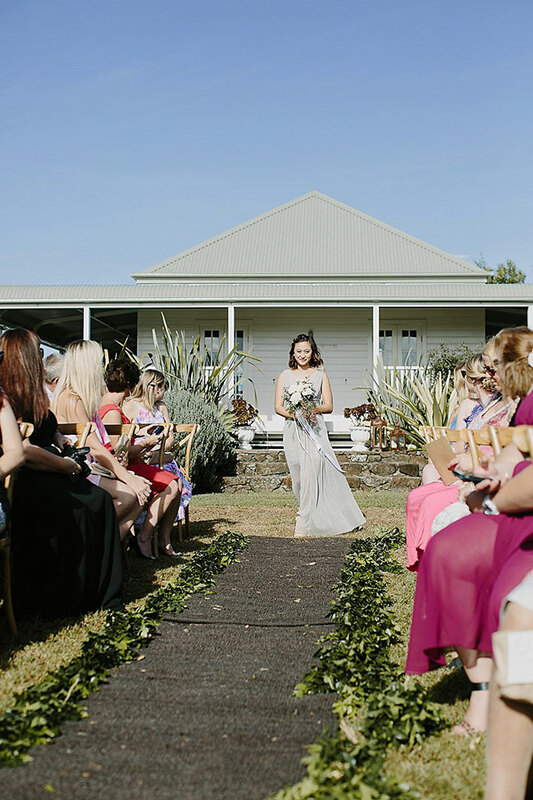 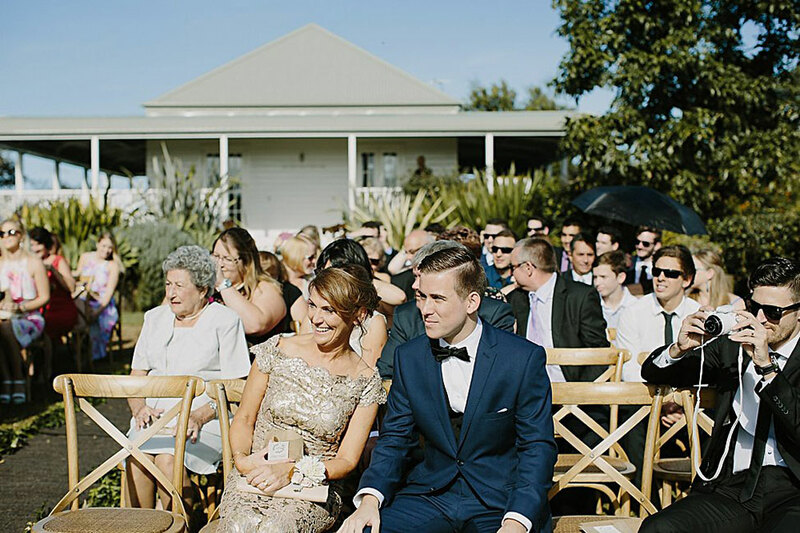 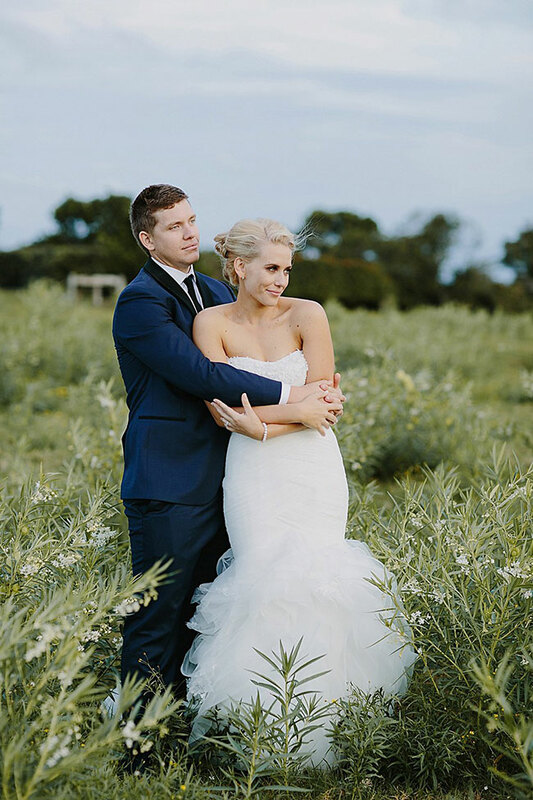 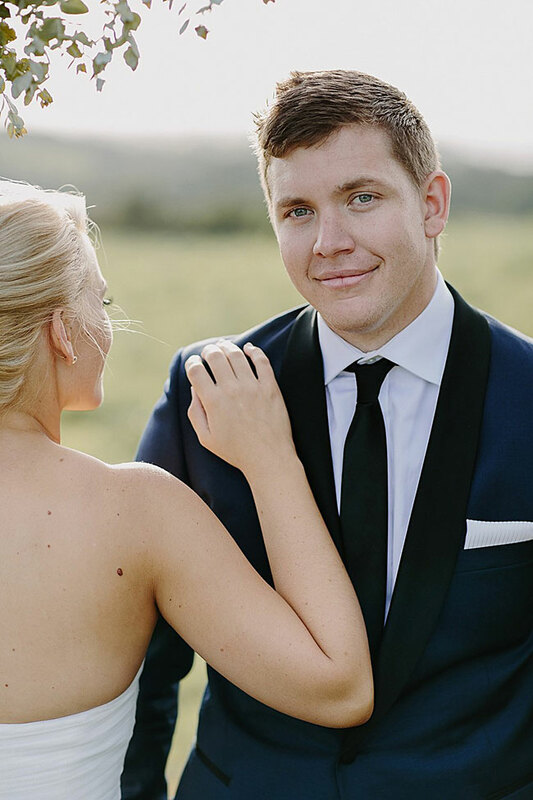 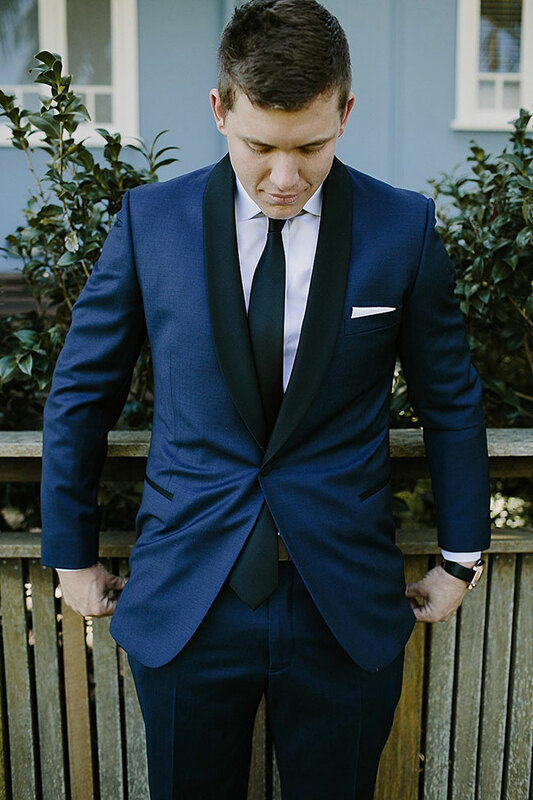 As if that wasn’t enough, its all wrapped up in a beautiful bow by Australian wedding photographer Heart and Colour who did an otherworldly job of making every natural light moment an utter swoonfest. 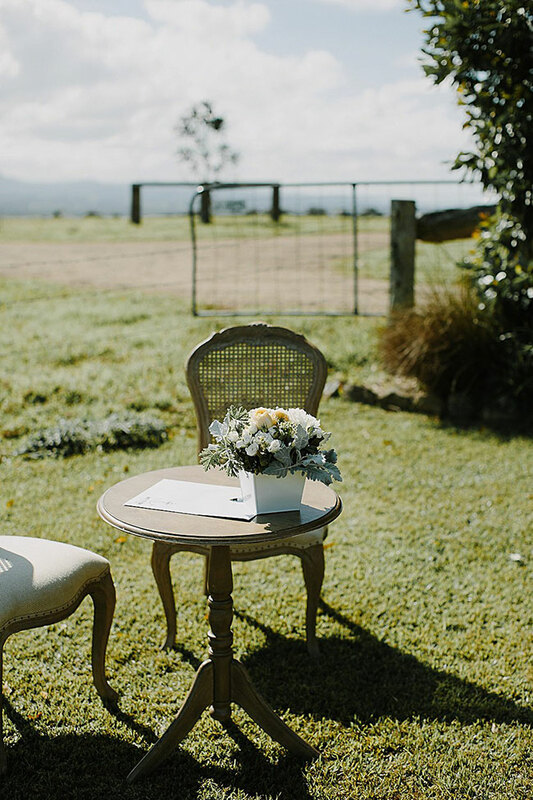 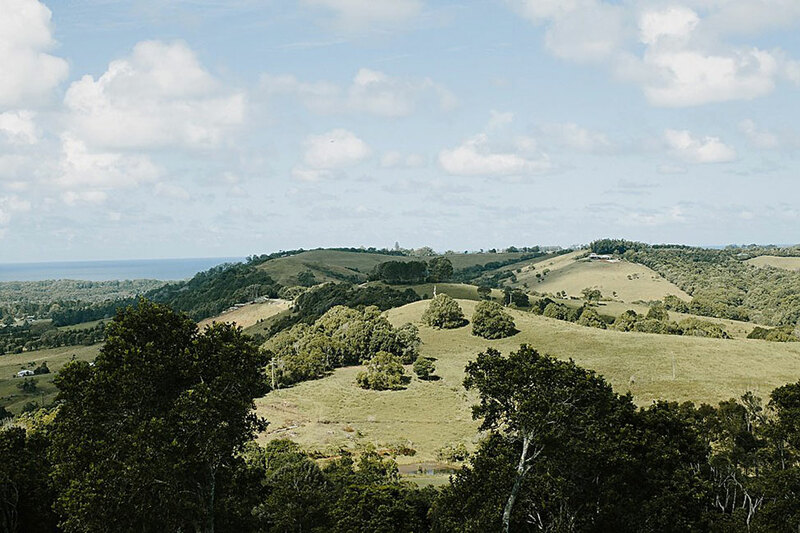 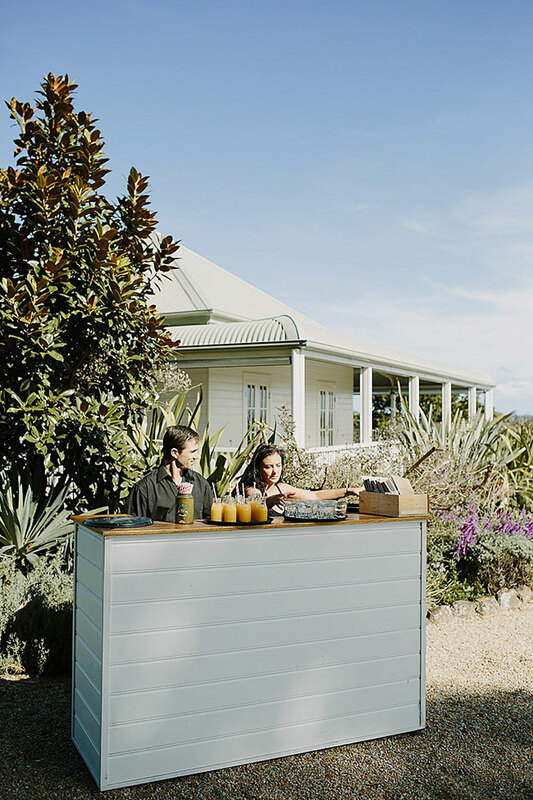 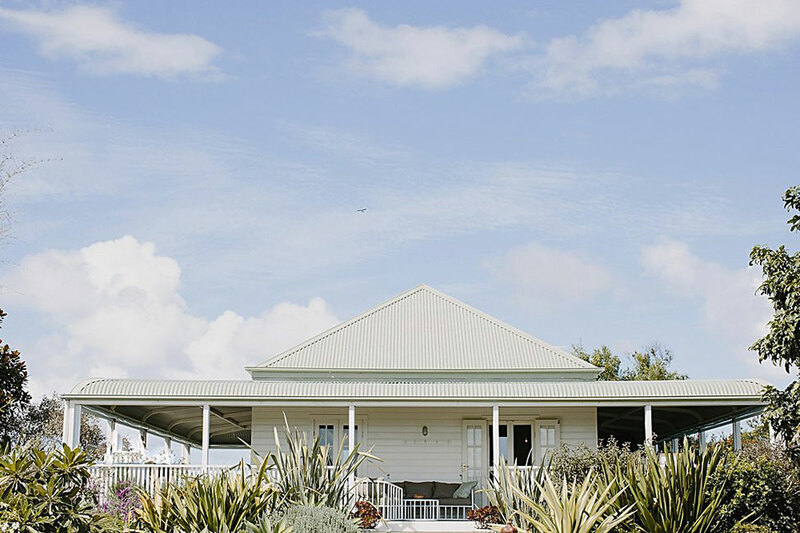 Considering the power of the sweeping 360 degree view that a Byron View Farm wedding offers, its hard to start anywhere else but here first. 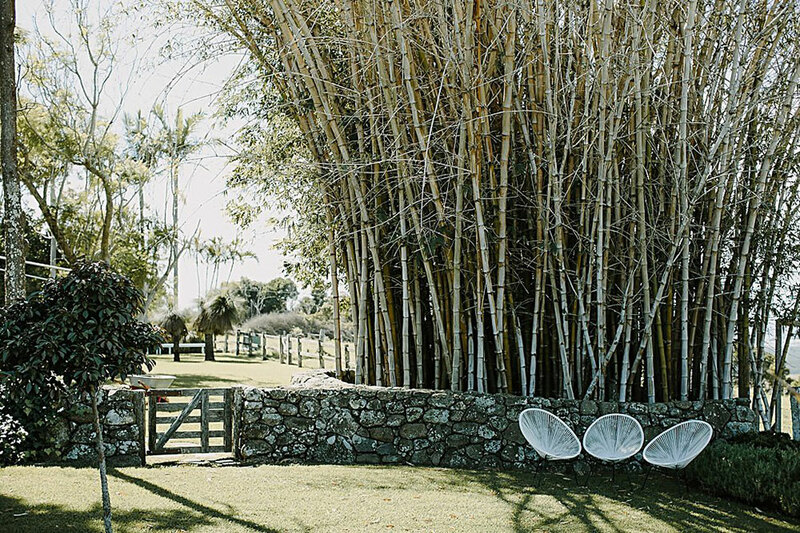 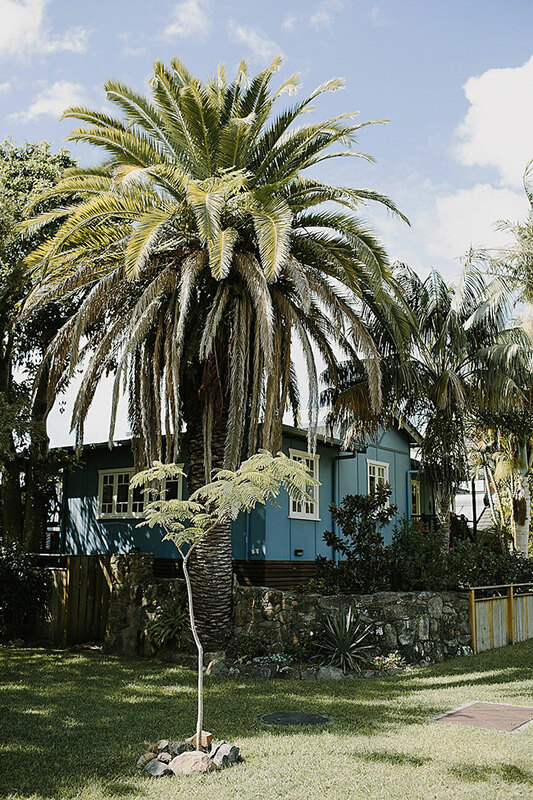 A cozy country cottage filled with bohemian chic details serves to set the stage, while beautiful minimalist landscaping embraces everything in between offering quite the ‘blank canvas’. 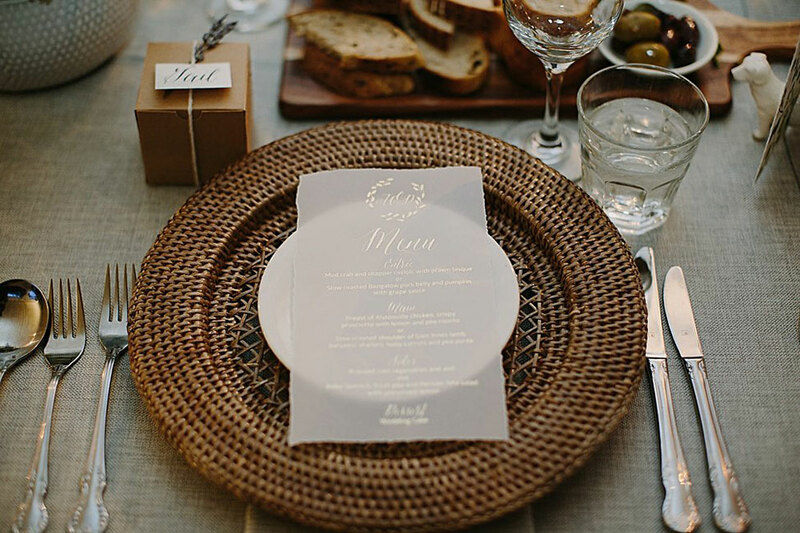 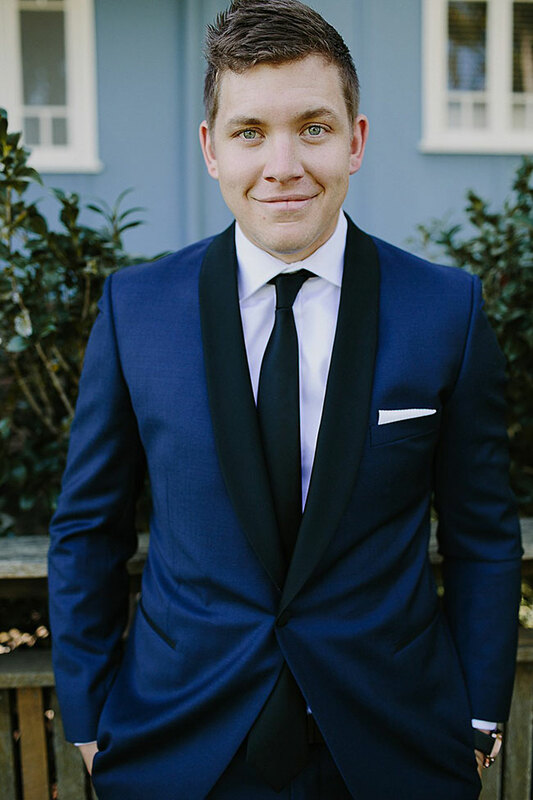 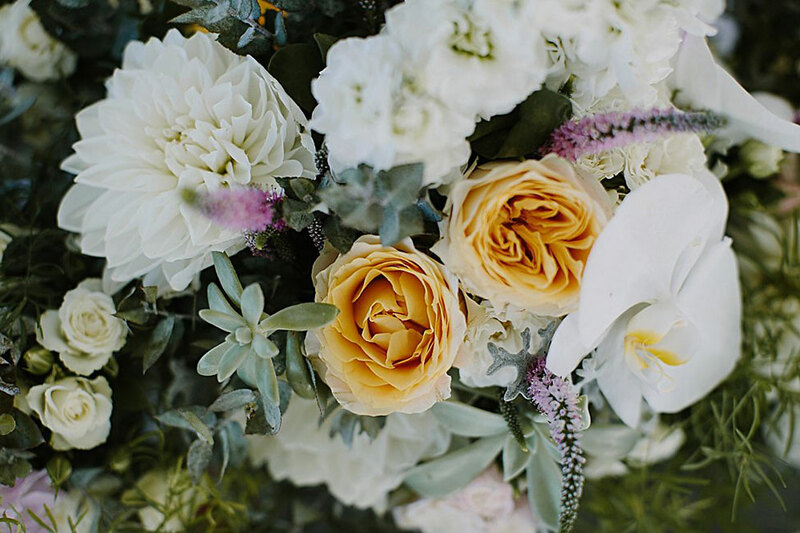 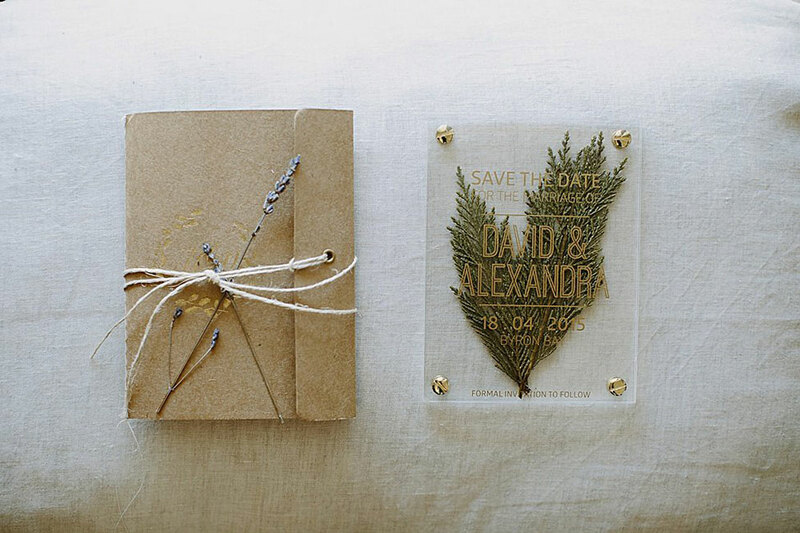 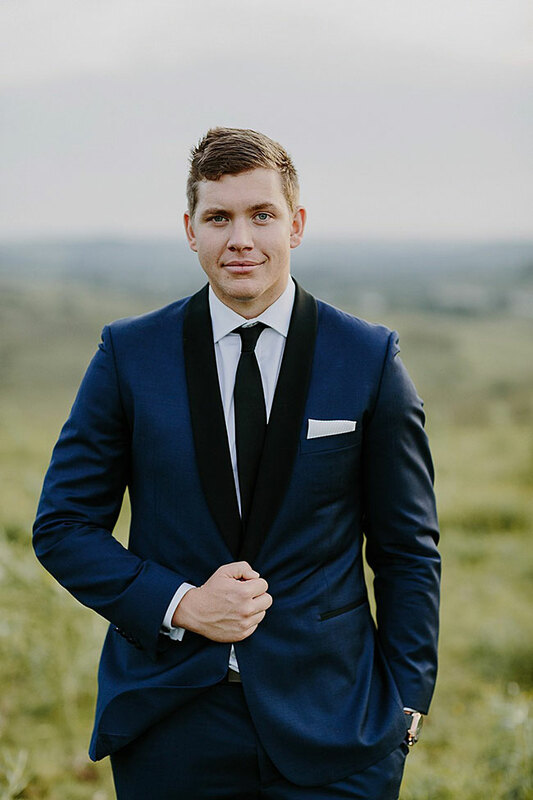 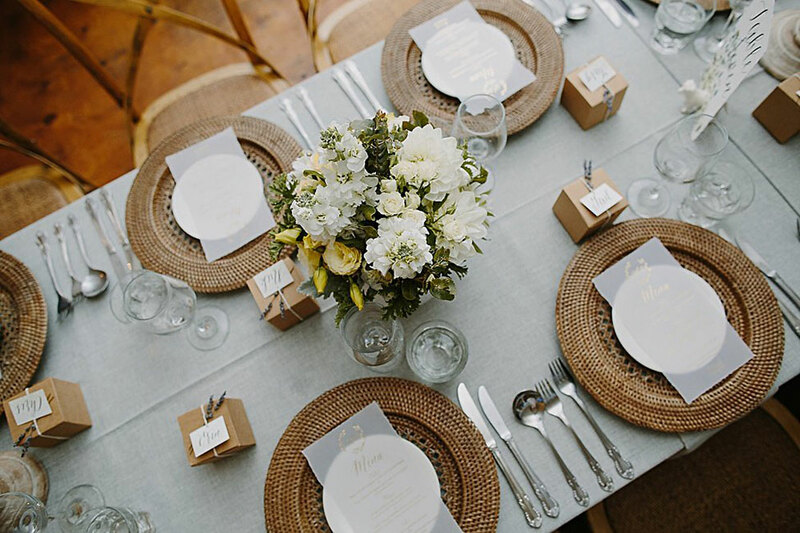 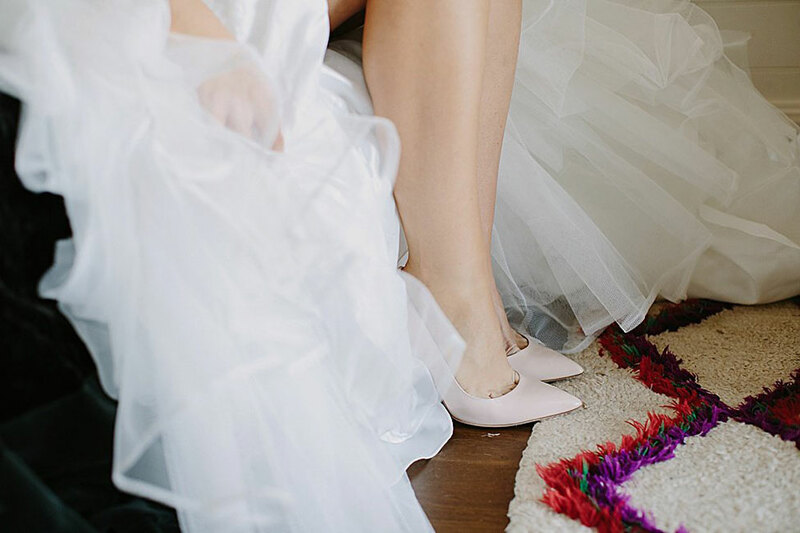 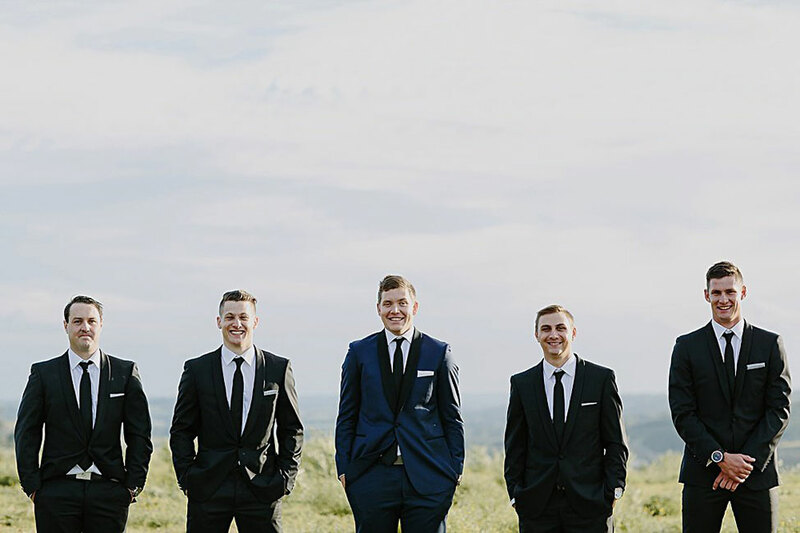 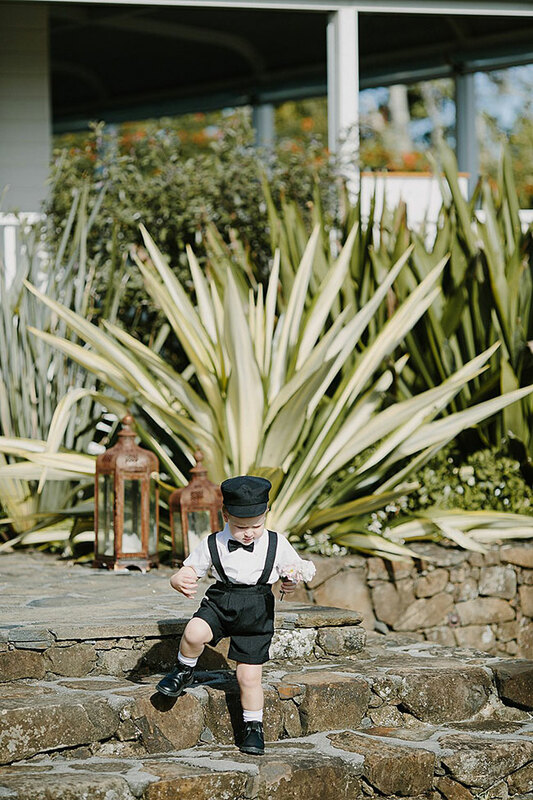 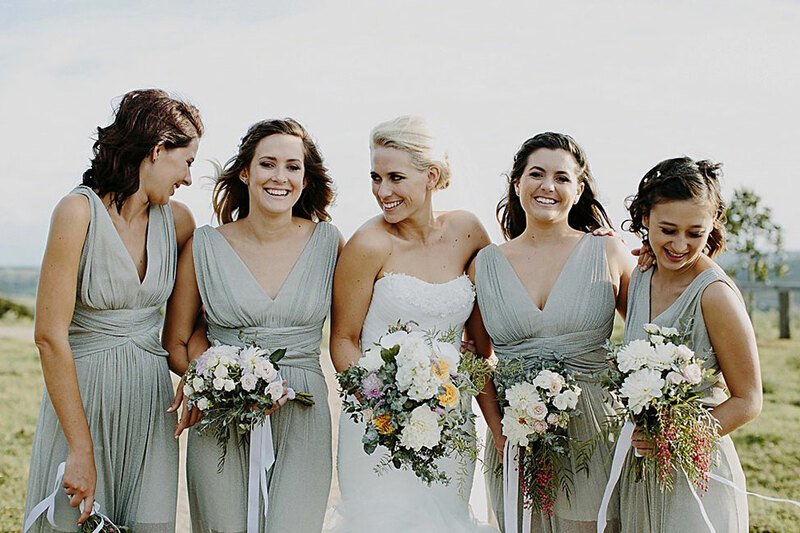 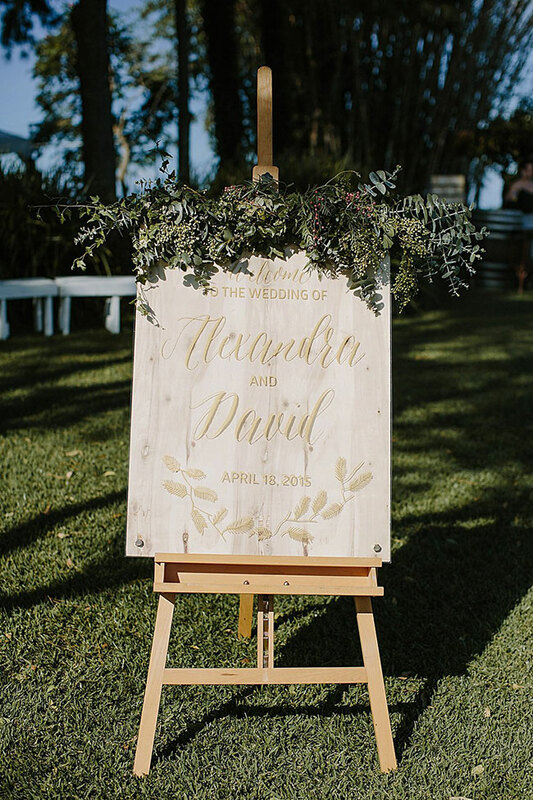 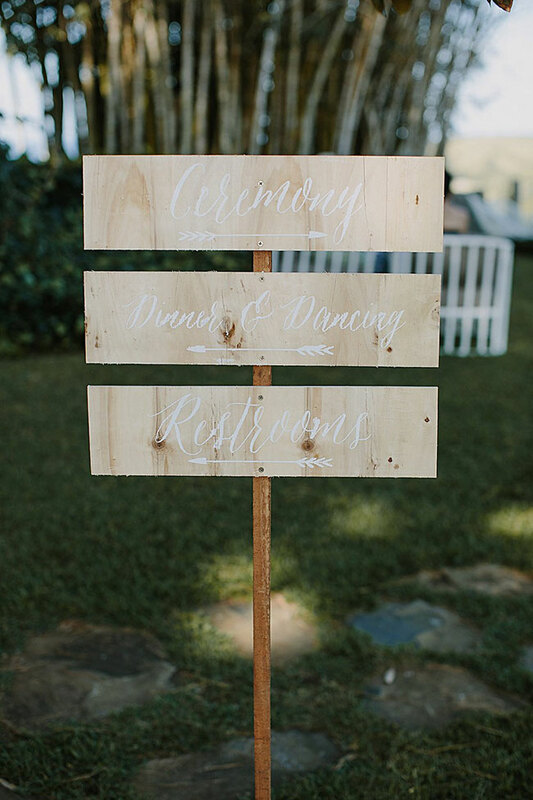 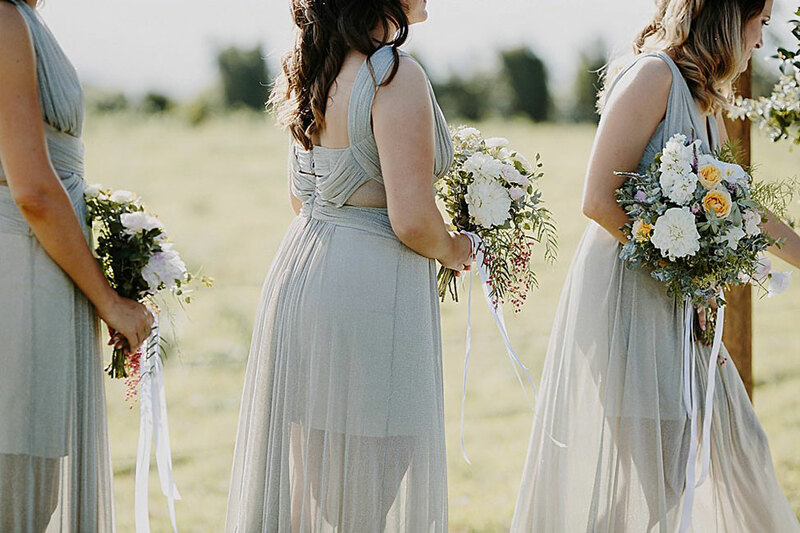 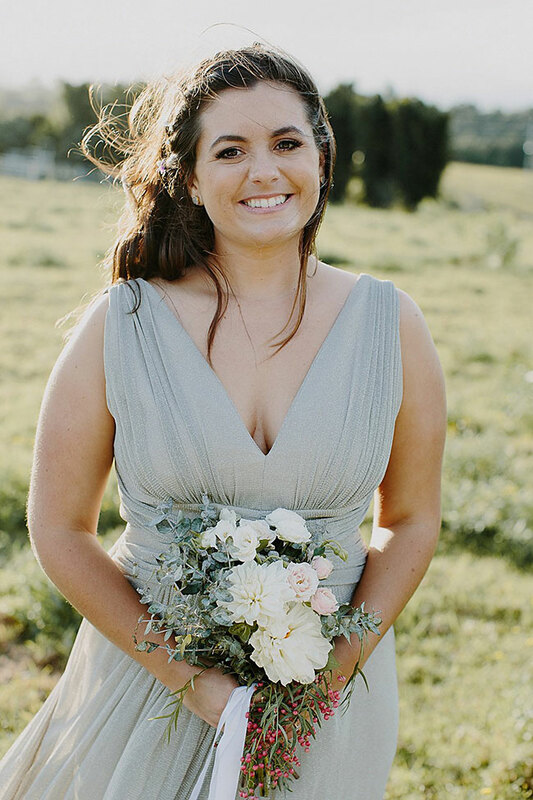 Alexandra & David teamed up with wedding rental company & stylist Love Stuck Weddings to articulate a wedding vibe that focused on natural more rustic chic inspired details that embraced and elevated the world around them. 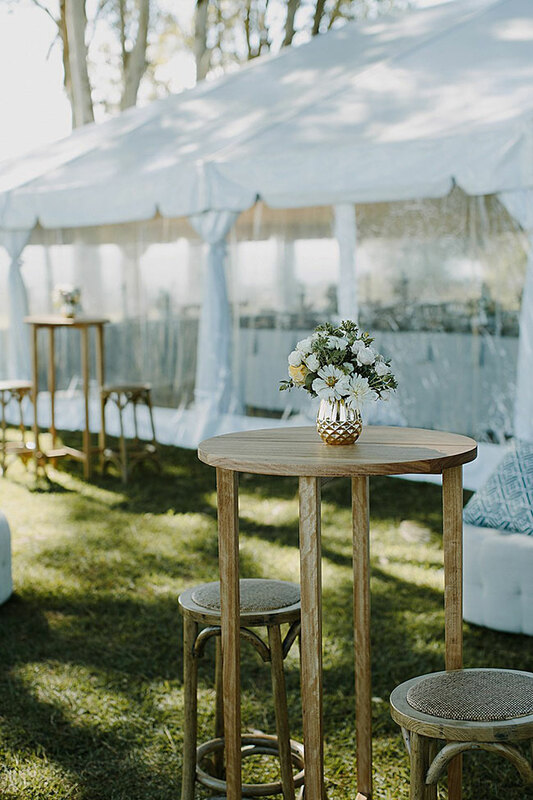 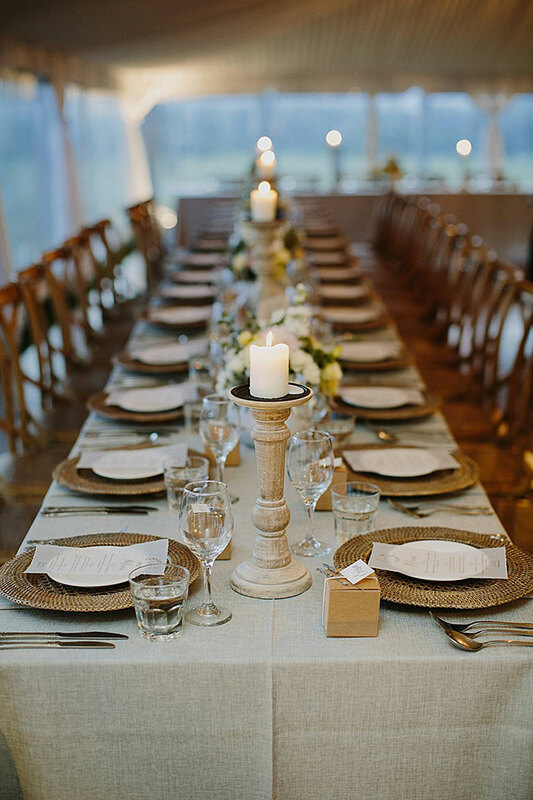 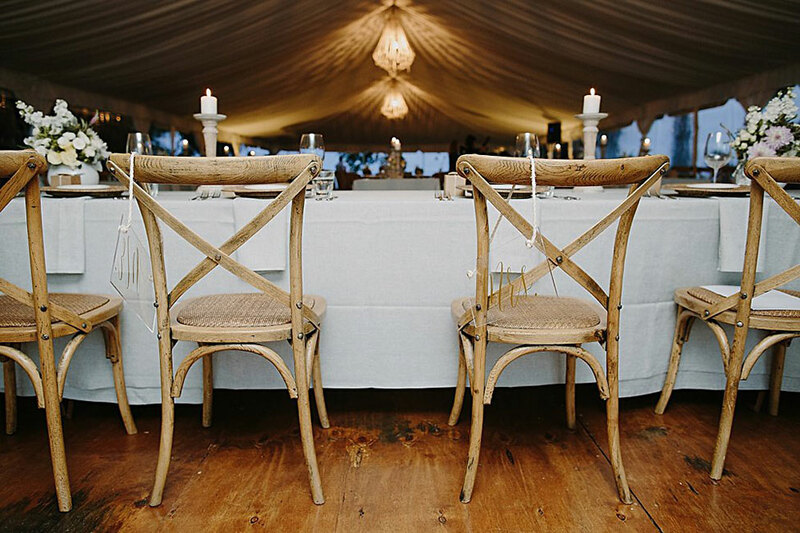 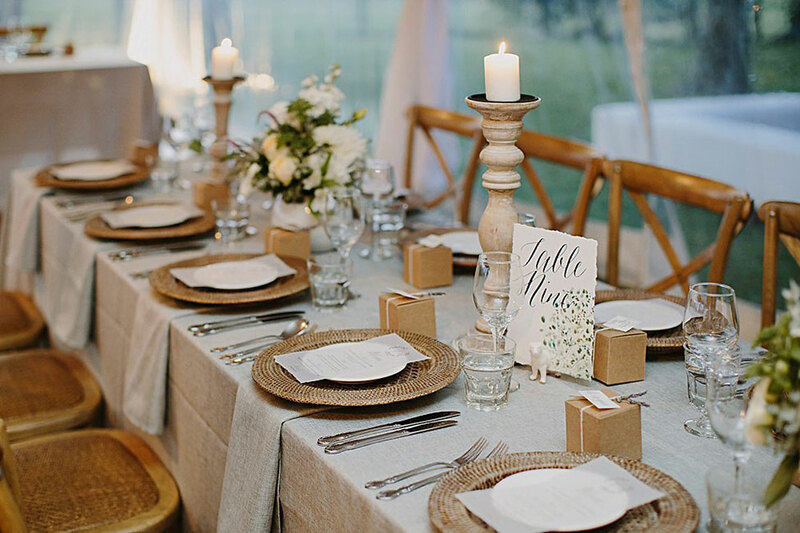 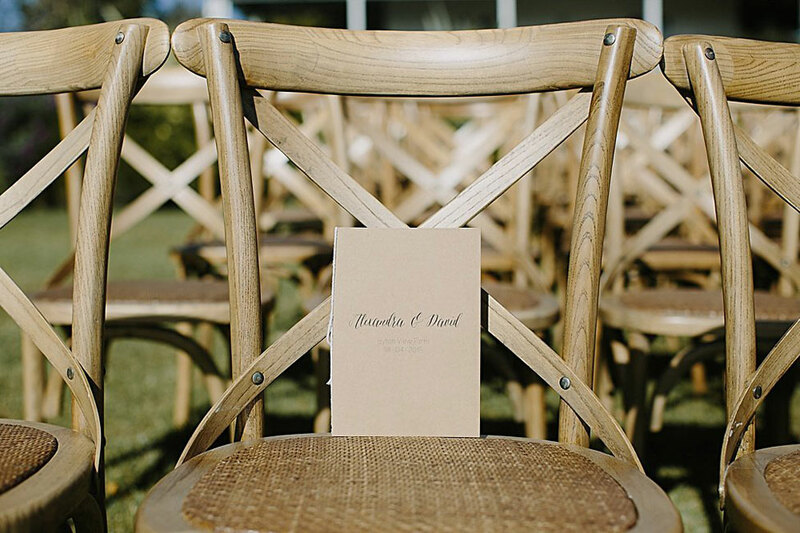 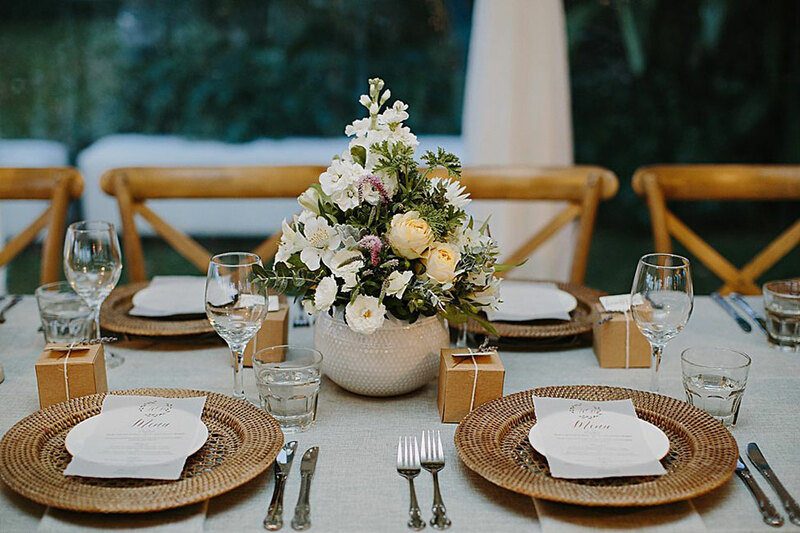 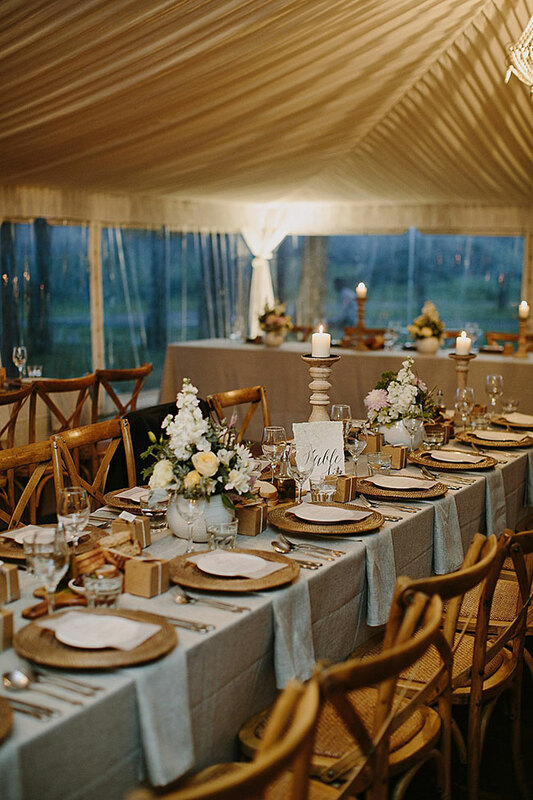 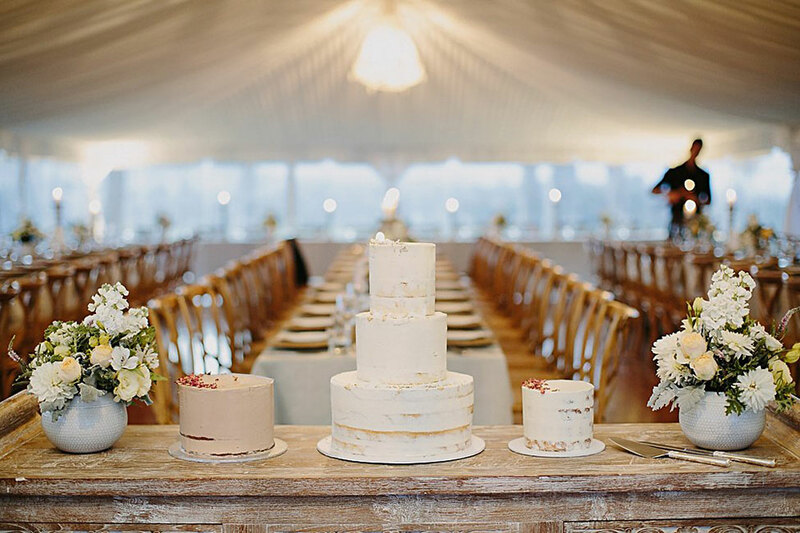 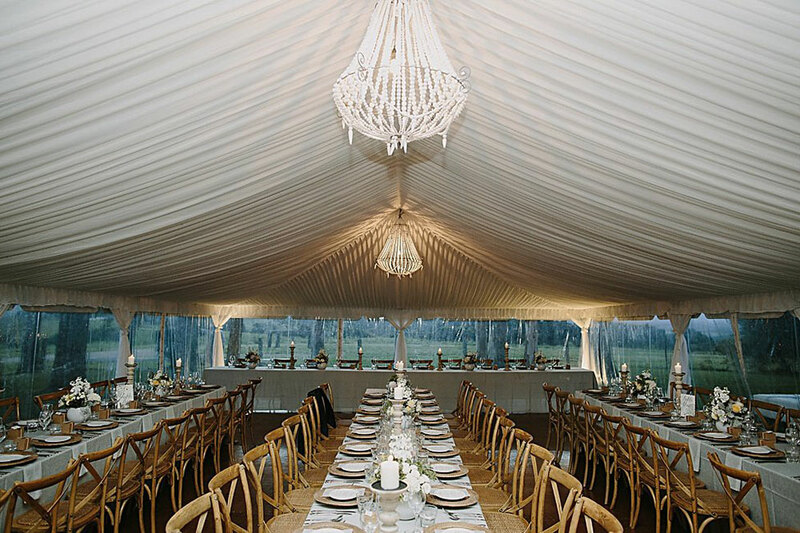 Polished natural wood elements were used whenever possible from details like cross back chairs, tall pillar candles which dotted the long reception tables to the wicker chargers that greeted guests. 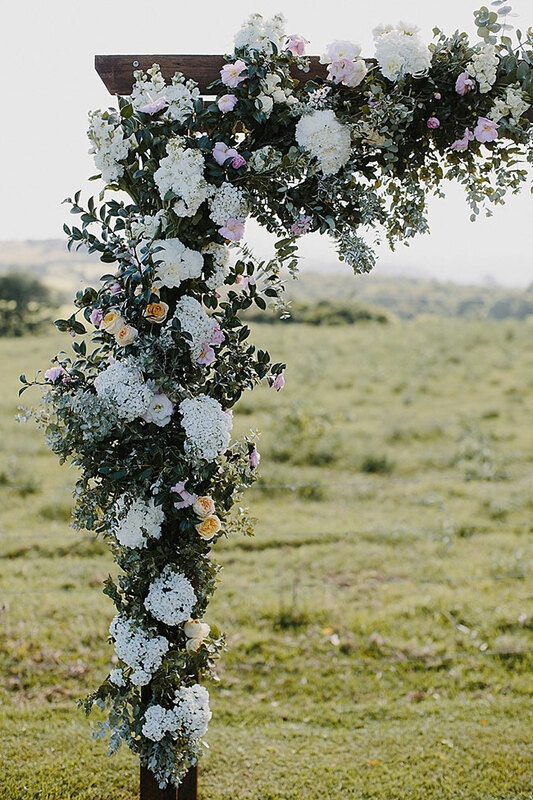 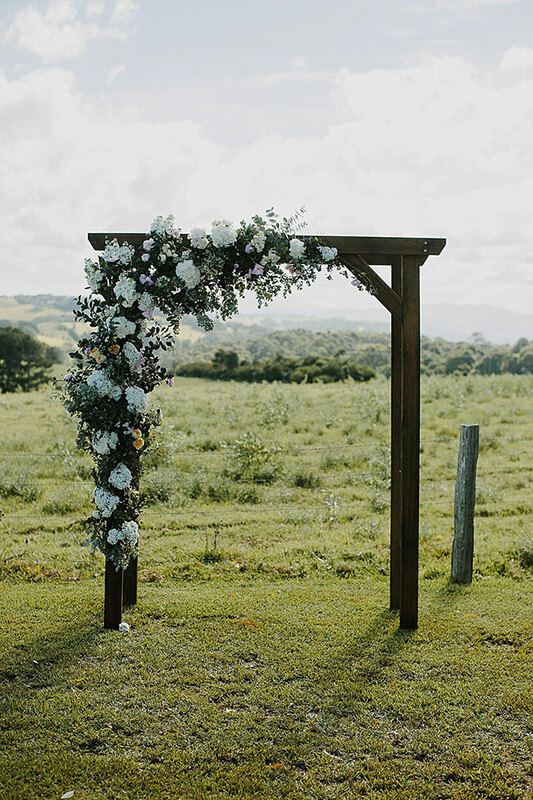 Florist The French Petal brought a raw wood ceremony arch to life with a cascade of flowing blooms in a muted palette that echoed the landscape around them as well as crafted elegant petite centerpieces that tied the tables together. 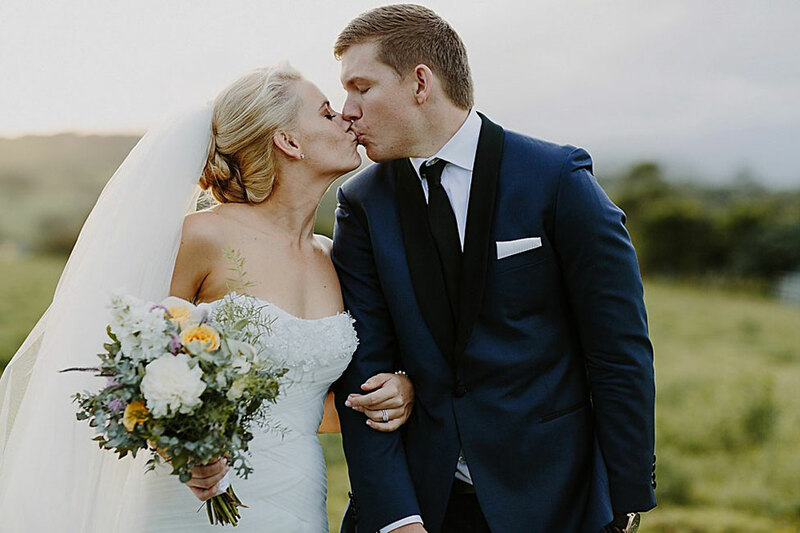 All that was left was for Alexandra & David to be the gorgeously stylish couple they were, and to be as smitten as they’ve been since they meet at 8 year olds. 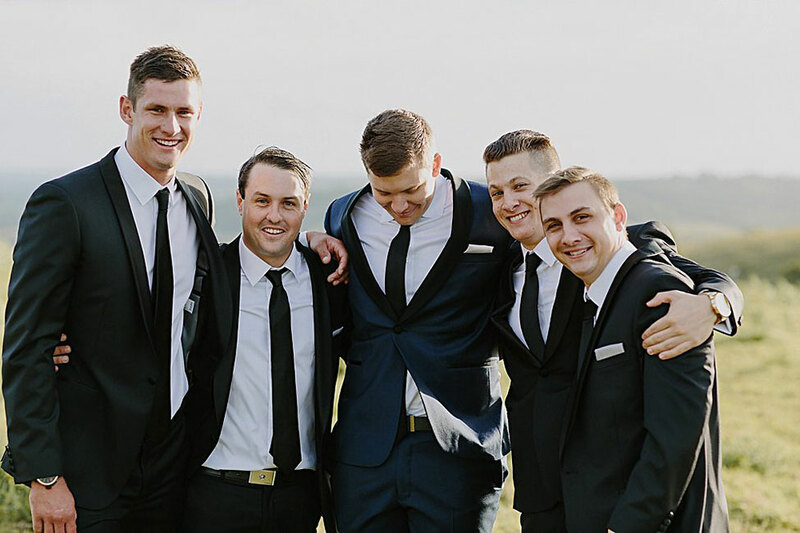 Dave and I met when we were 8 years old attending the same school together from grade 8 to grade 12. 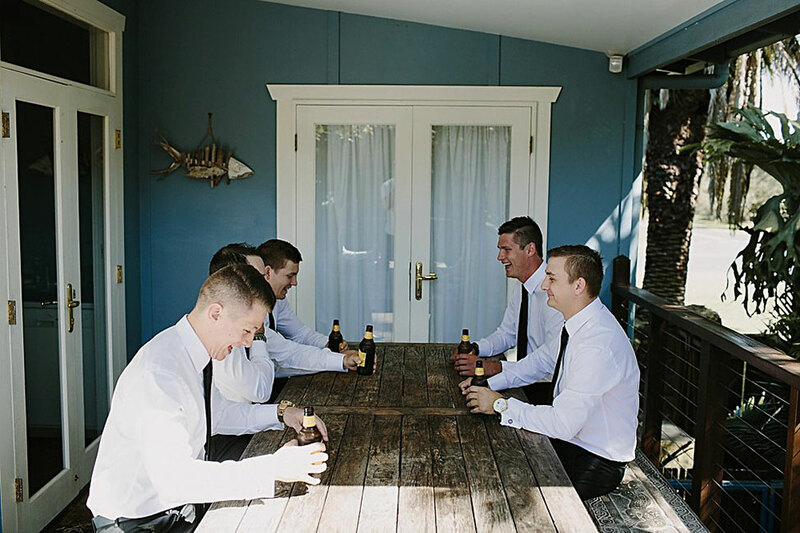 Dave finally asked me to go on a date in the last week of grade 12, and made it through Schoolies so it was clear from the start our relationship was something special. 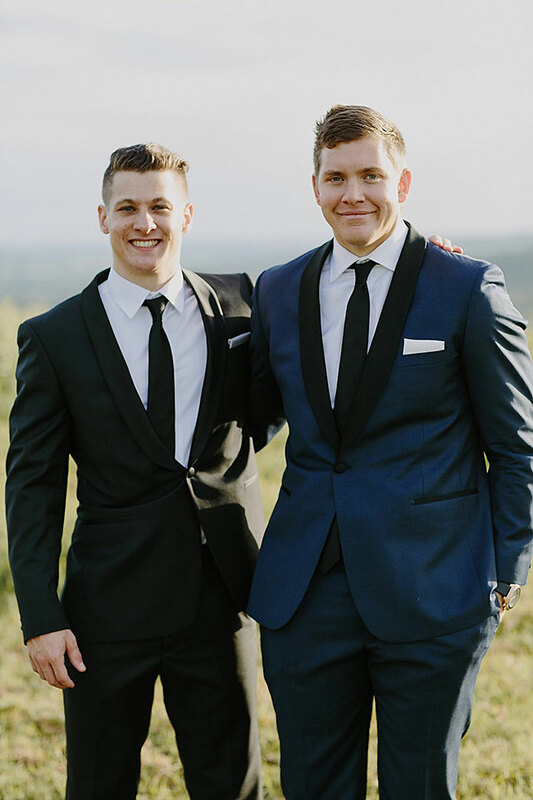 We attended the same university and decided to buy a house together soon after finishing our degrees. 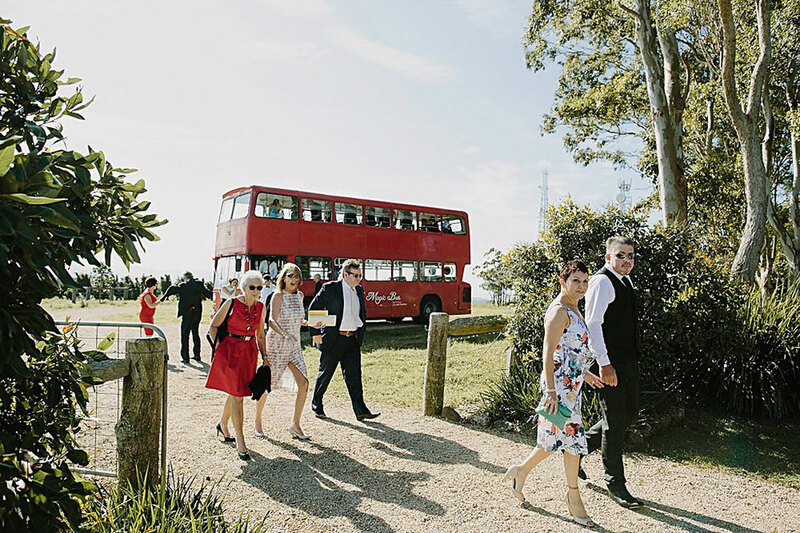 Our greatest addition to the family came 2 years ago with our golden retriever Homer, who helped Dave propose to me on a jetty at Southbank in Brisbane. 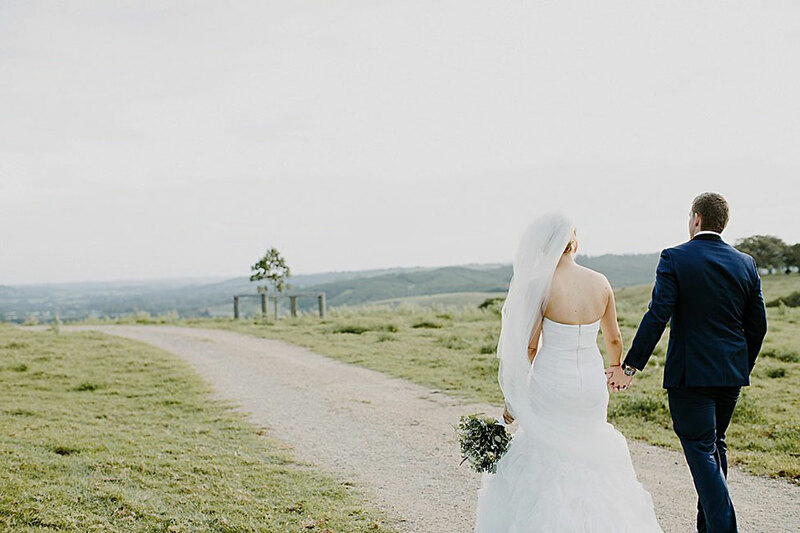 It only took him 8 years but it was the most amazing wait of my life. 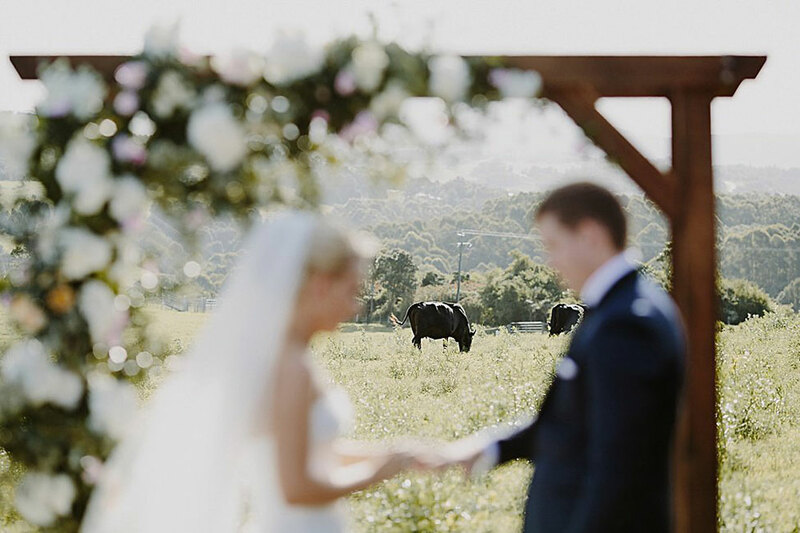 Byron View farm was the first wedding venue we actually looked at. 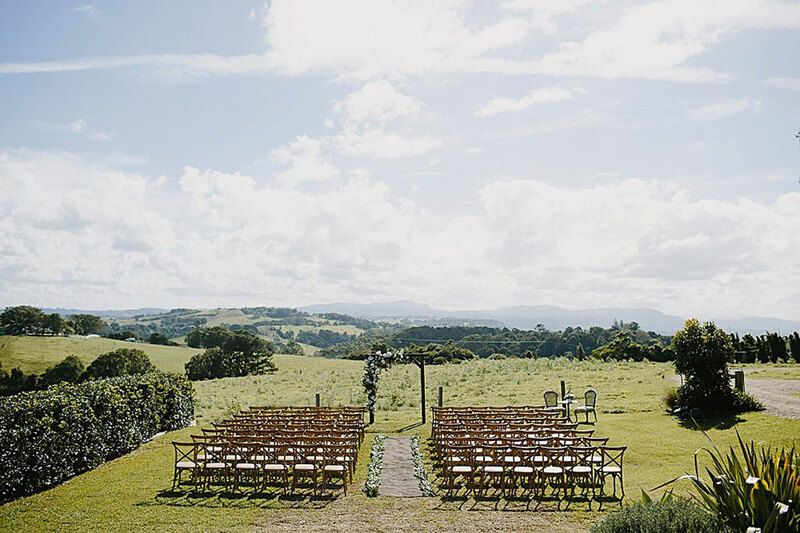 We stepped out of the car looked at each other and said “we have to get married here”. 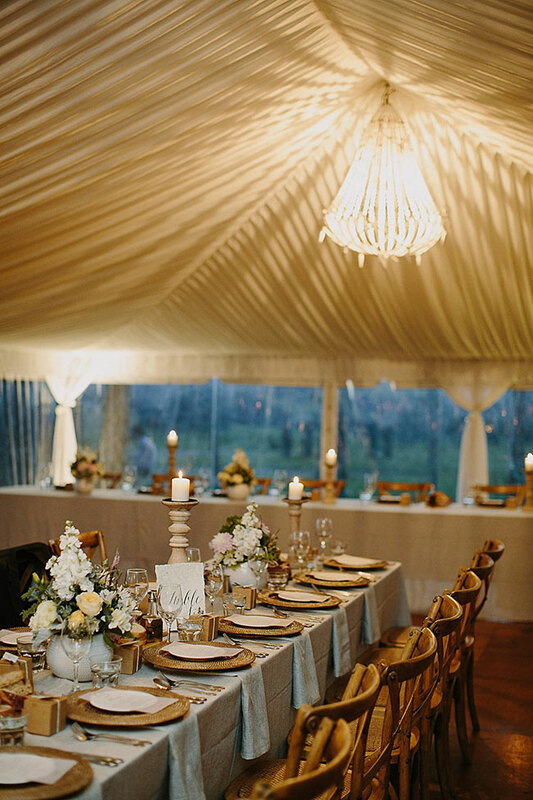 The venue is absolutely stunning and enabled us to pick and choose every single element that we wanted for the wedding. 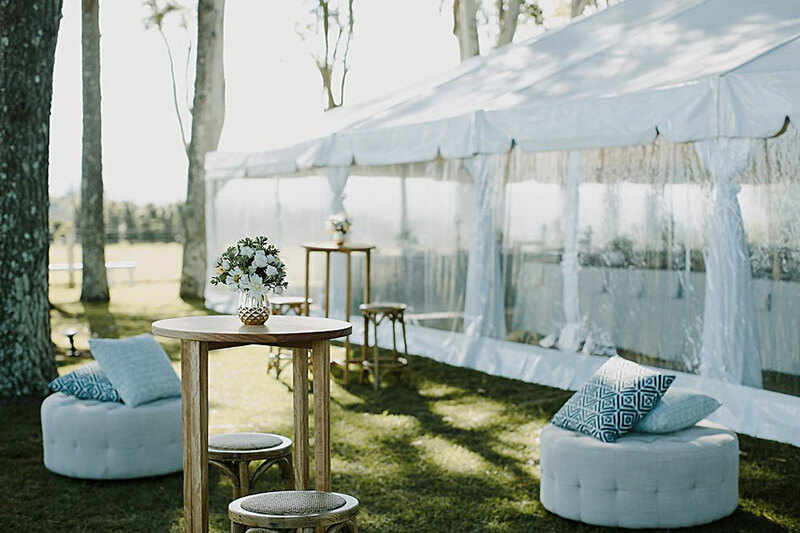 From the varying locations we could have had the ceremony to the different styles of marquee that we had to choose form the venue was a beautiful blank canvas waiting for us to create our wedding exactly the way we wanted it. 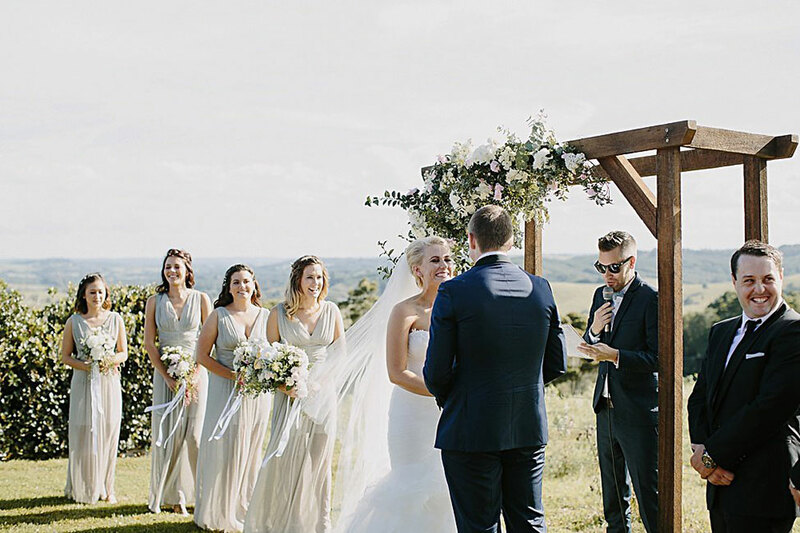 We really wanted a wedding that showed off the amazing location that we had chosen, whilst still allowing the wedding to be quite formal. 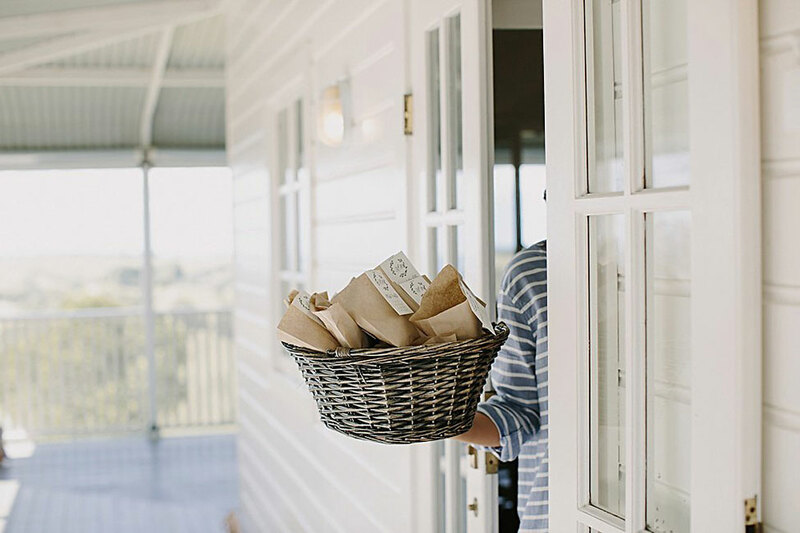 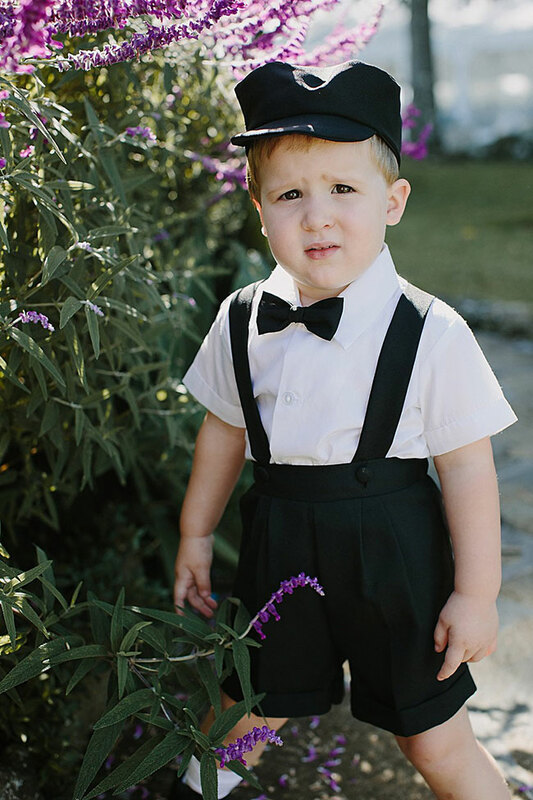 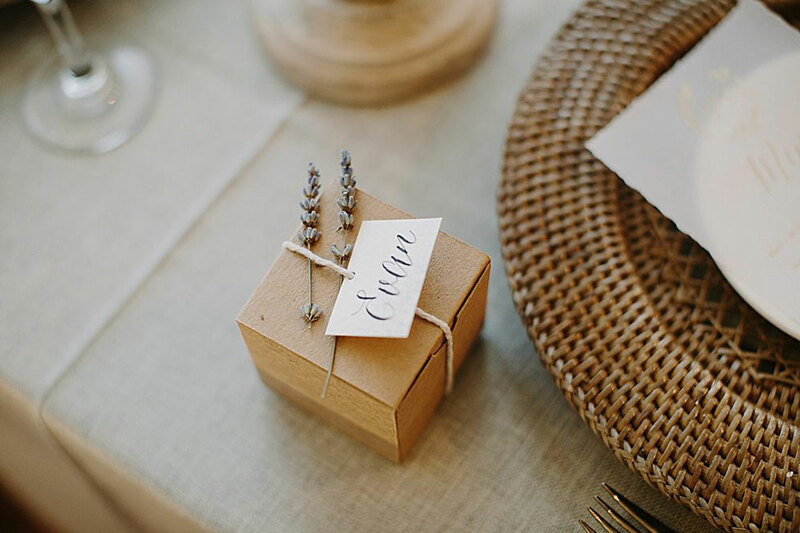 We worked with our stylist Kelly form Lovestuck (who is one of the most talented and lovely people we have ever met) to create a rustic yet formal feel for the day. 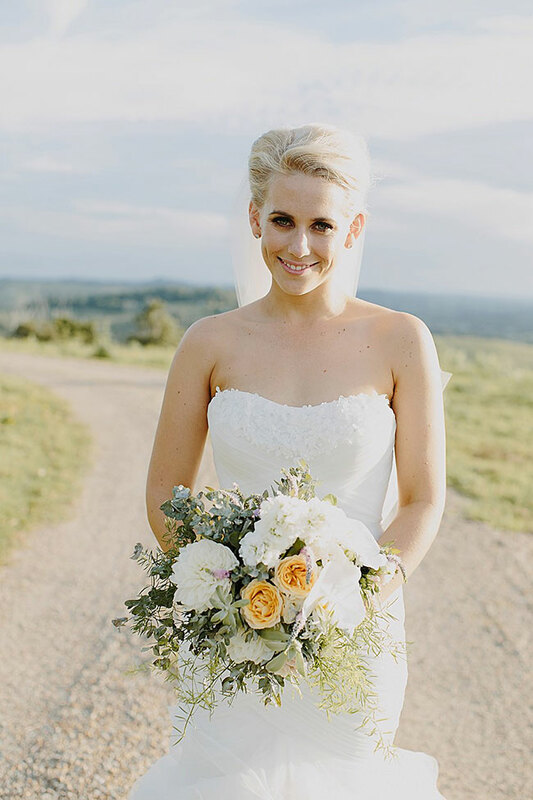 Flowers played a huge role in setting the theme and Estelle from the French Petal created such jaw droppingly amazing pieces that really exceed all of our expectations. 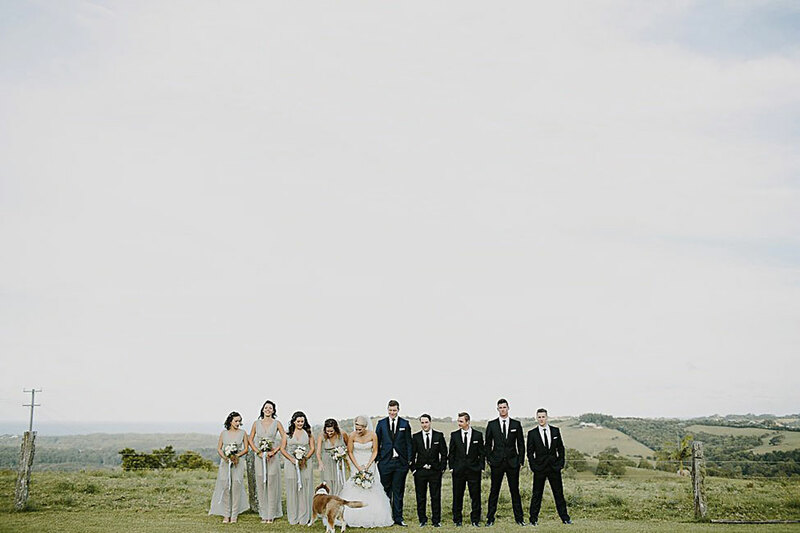 A Little Help From Their Friends ~ We had so many people helping us out especially our parents and bridal party. 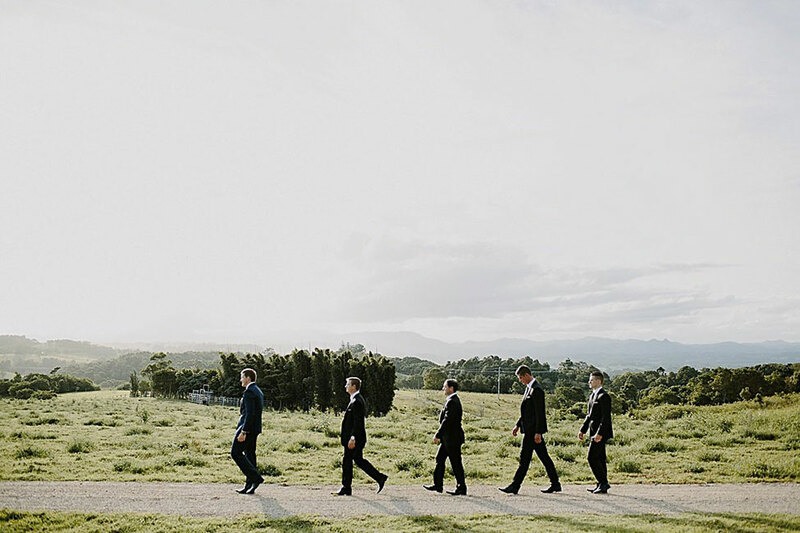 They were all there the day before helping us set up and unload all the elements that we had made our selves. 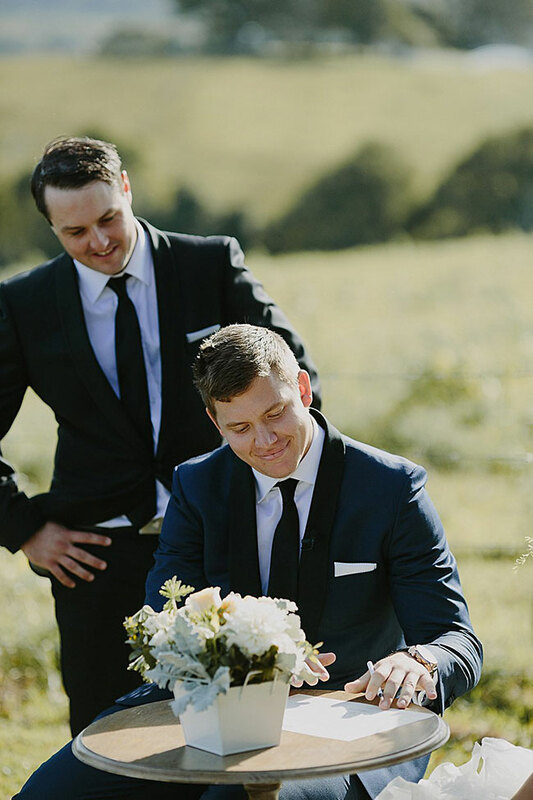 I think there biggest help though was keeping us grounded and calm throughout the whole planning experience… which I know would have been hard at times! 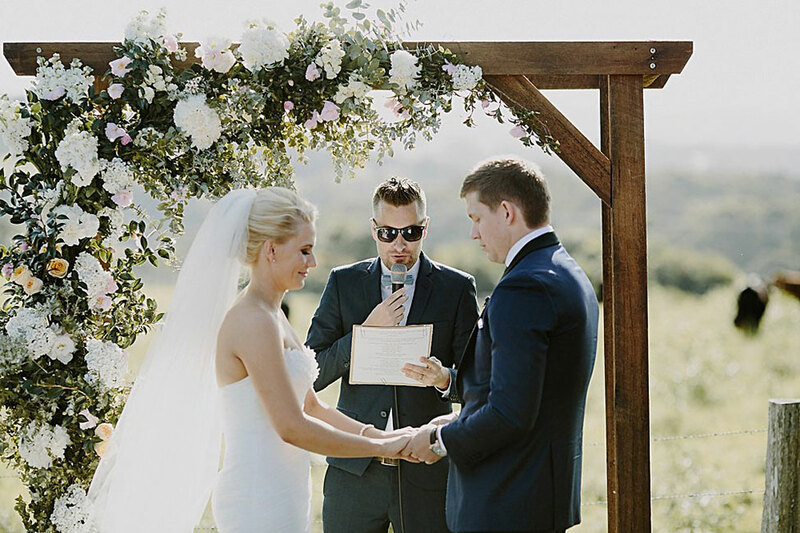 Favorite Moments ~ There were so many amazing beautiful moments throughout the day but I think for both of us it was the moment that we first saw each other at the ceremony, it was such a surreal and beautiful moment, I don’t think either of us will ever forget the look in each others eyes. 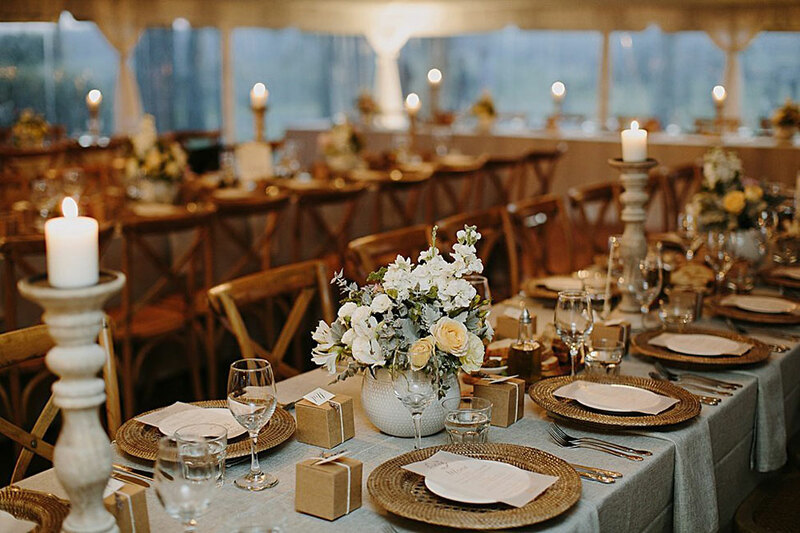 But the dancing pot reception was also so so so much fun, it was great to let loose after nearly a year of planning and saving. 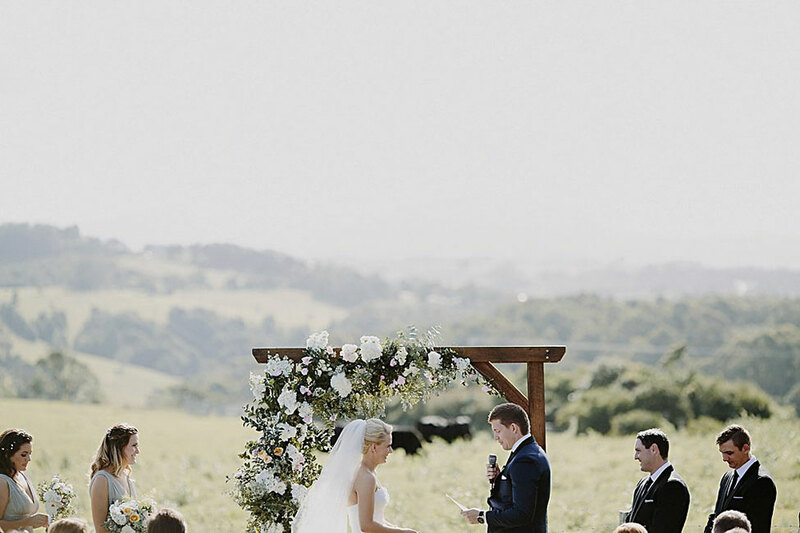 Also my brother singing our bridal waltz song was pretty amazing.